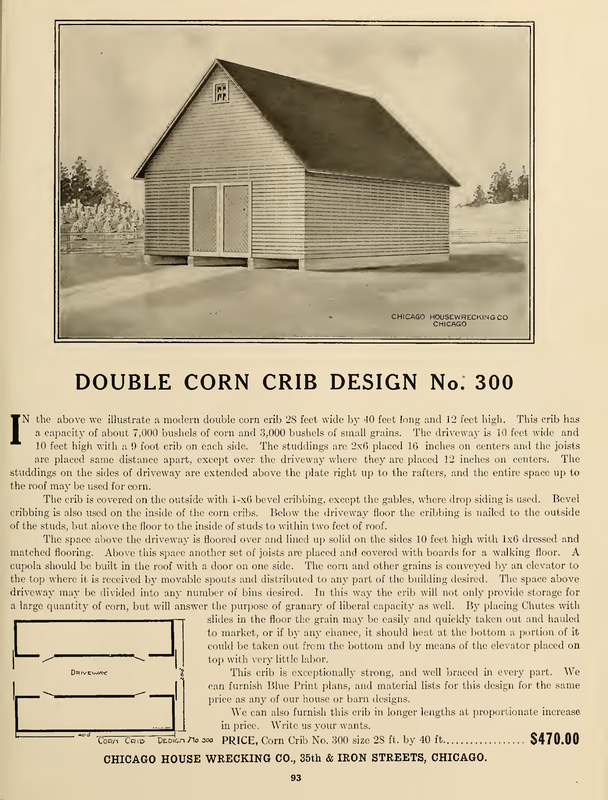 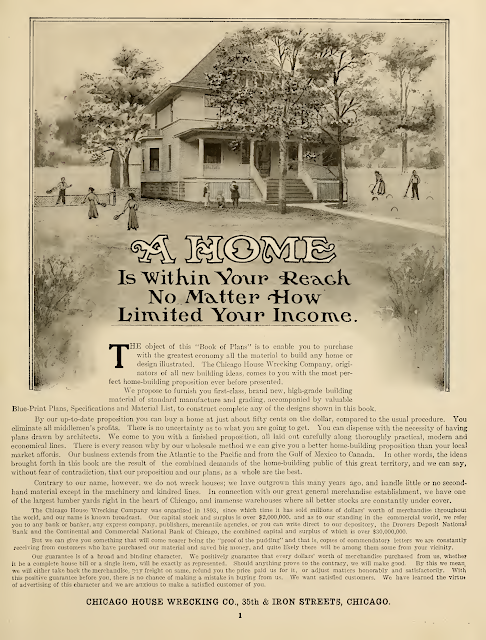 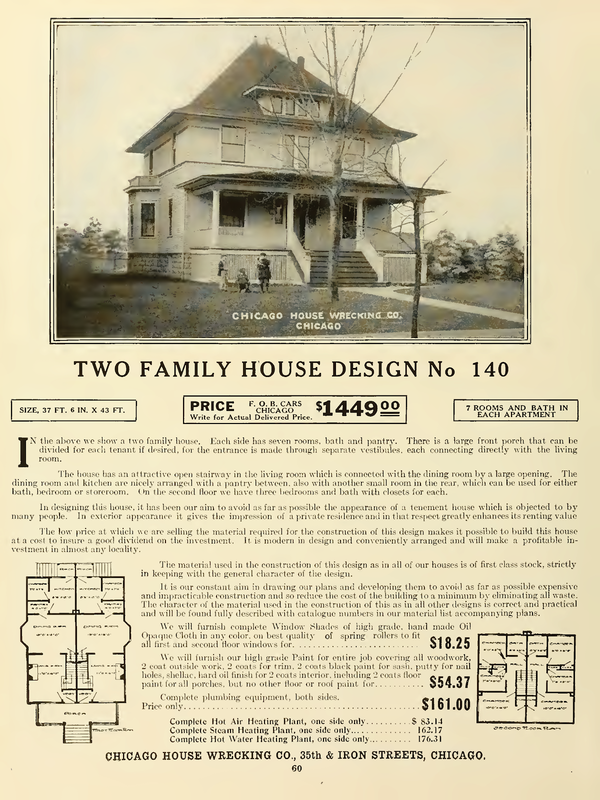 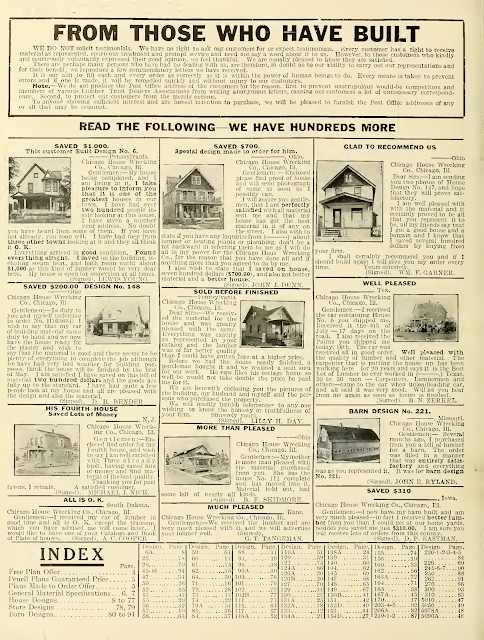 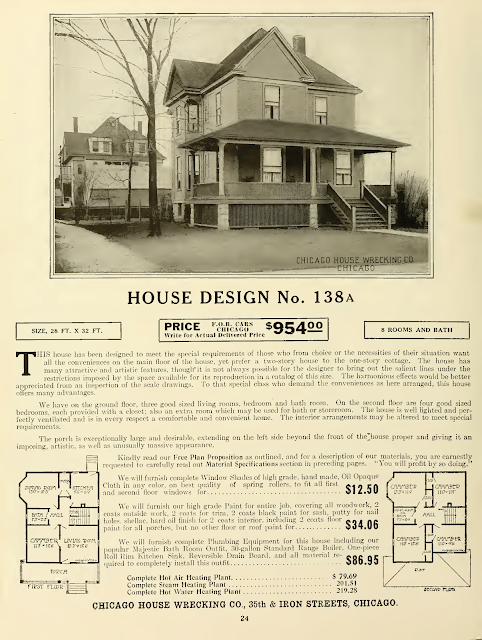 The Digital Research Library of Illinois History Journal™: Harris Brothers Company (Kit Homes) & Chicago House Wrecking Company, 35th and Iron Streets, Chicago, Illinois. 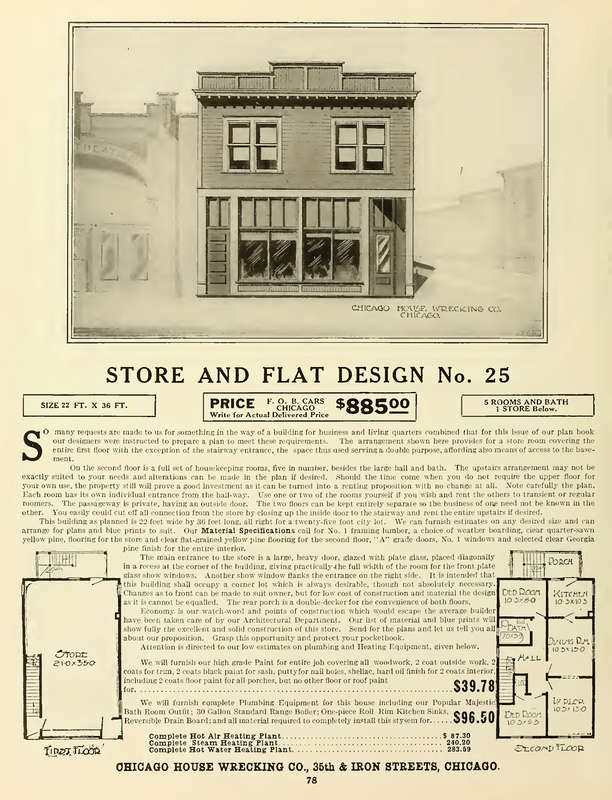 Harris Brothers Company (Kit Homes) & Chicago House Wrecking Company, 35th and Iron Streets, Chicago, Illinois. 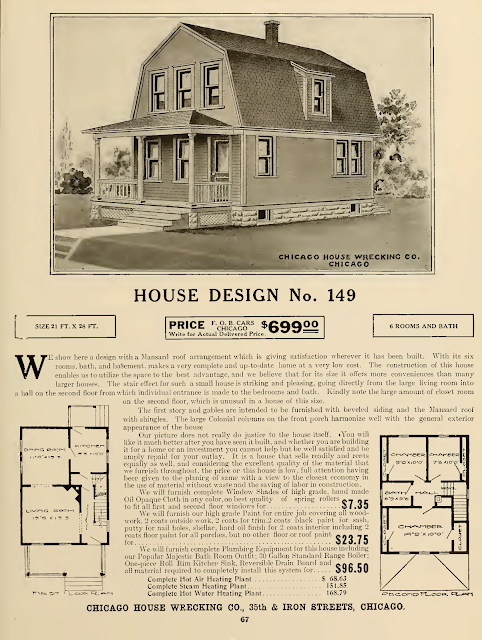 Chicago House Wrecking Company was founded as an architectural salvage company in 1892 and incorporated in 1893. 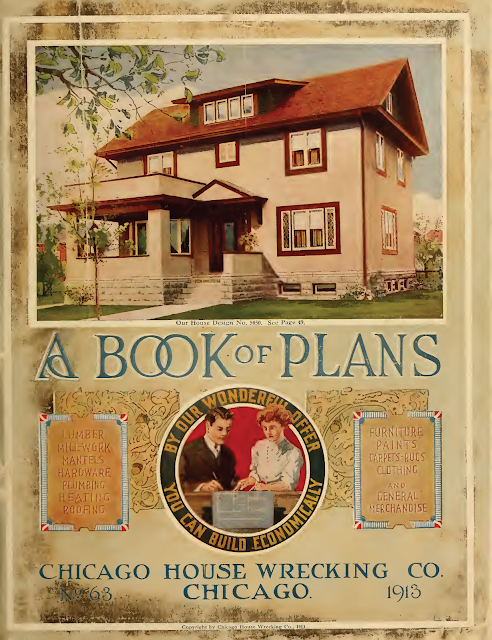 For many years, and through two World's Fairs, the Chicago World's Fair in 1893 and the St. Louis World's Fair in 1904, the company bid and successfully removed the salvage materials from a number of sites... a highly profitable endeavor. 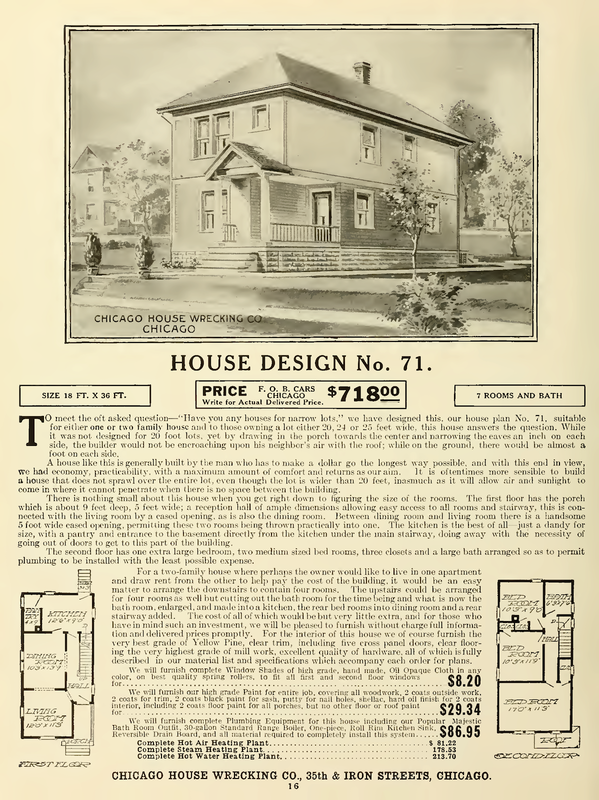 The Chicago House Wrecking Company No. 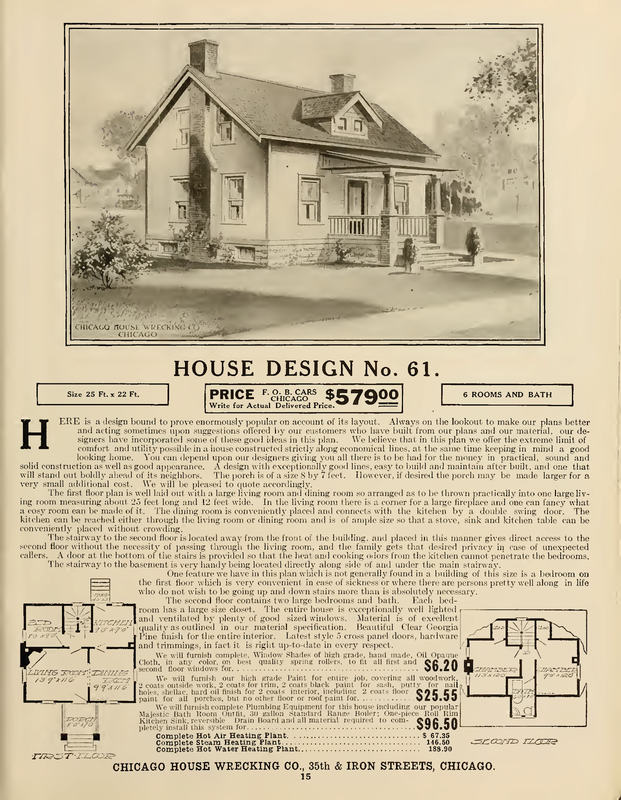 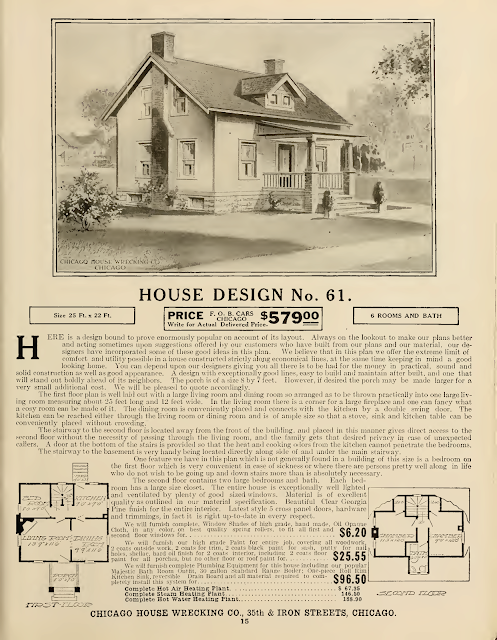 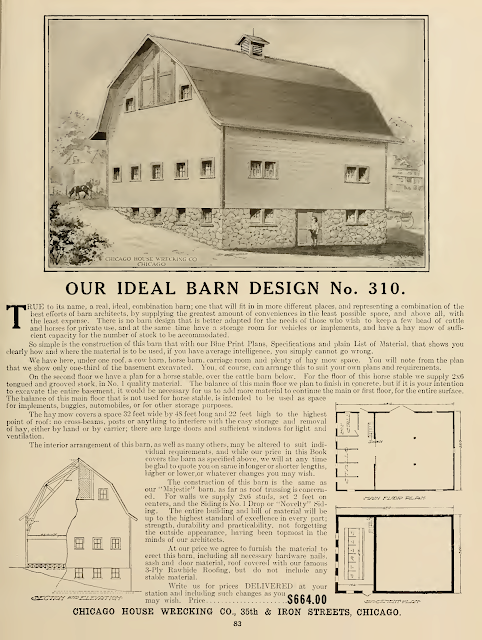 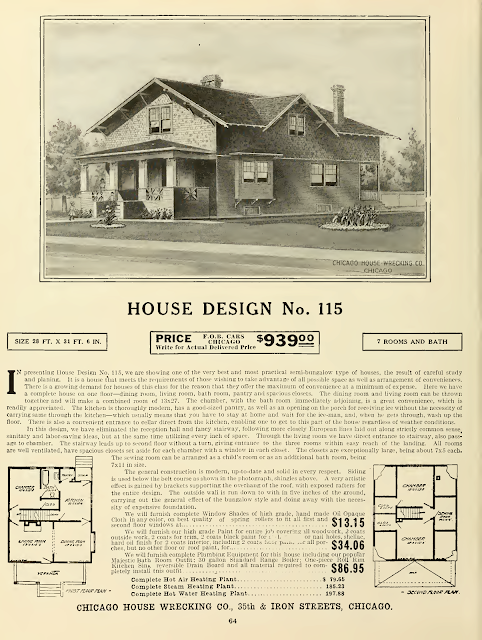 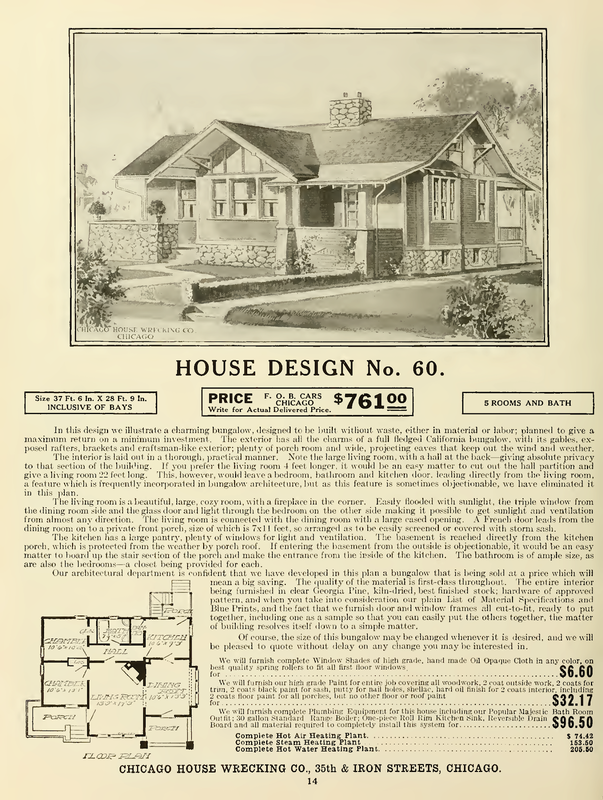 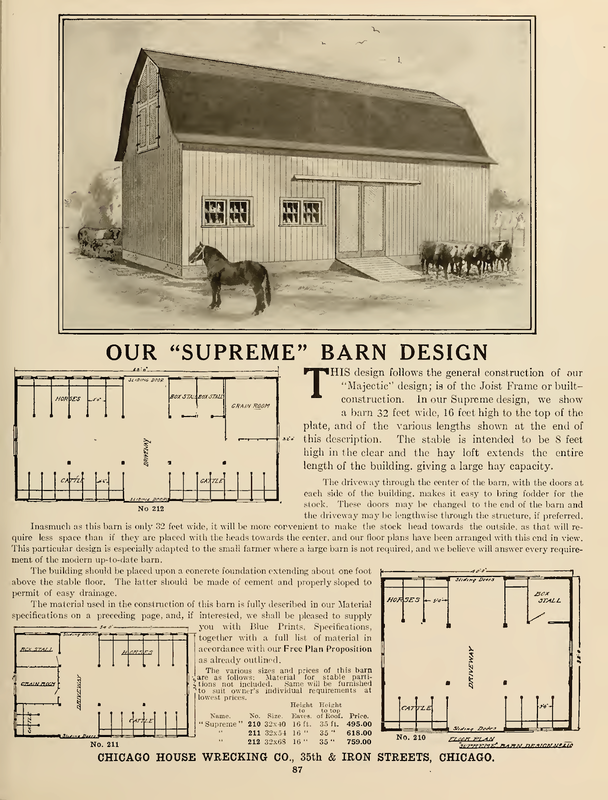 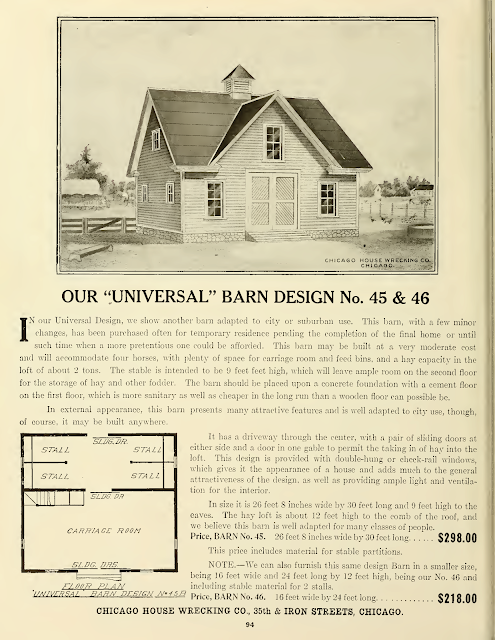 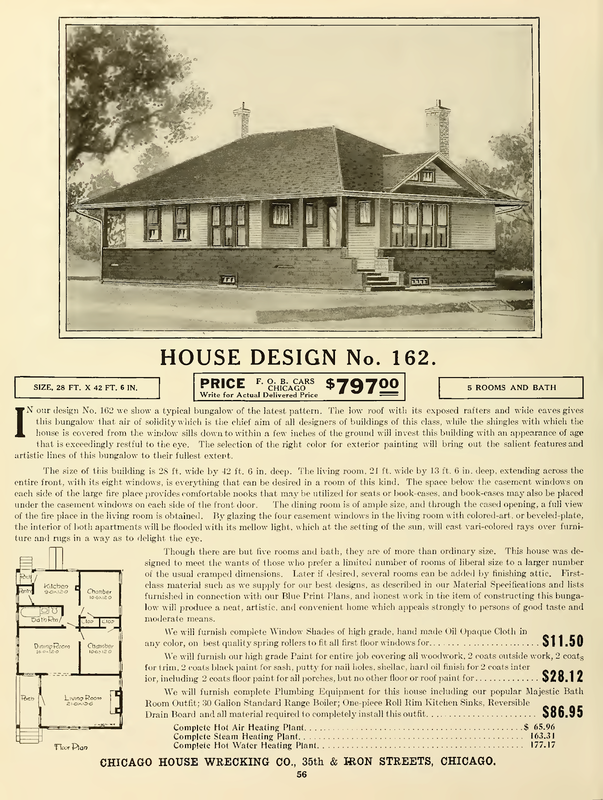 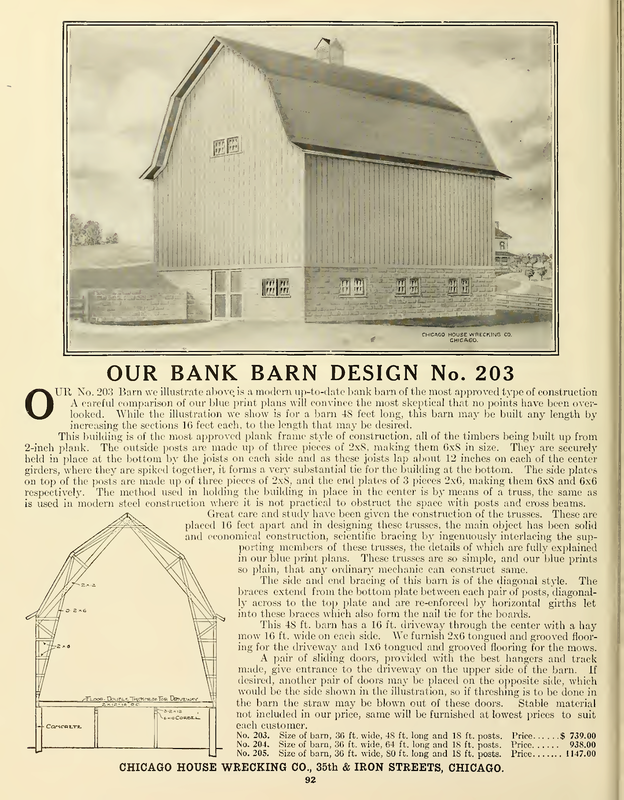 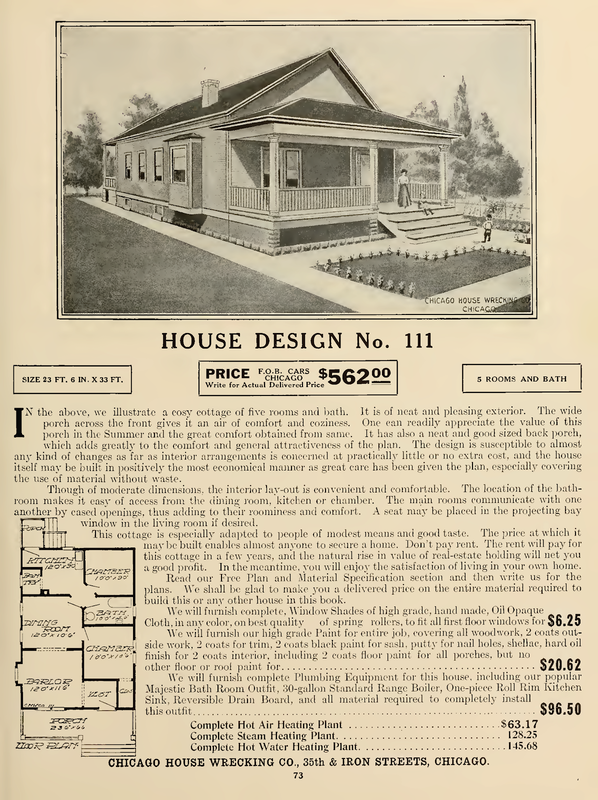 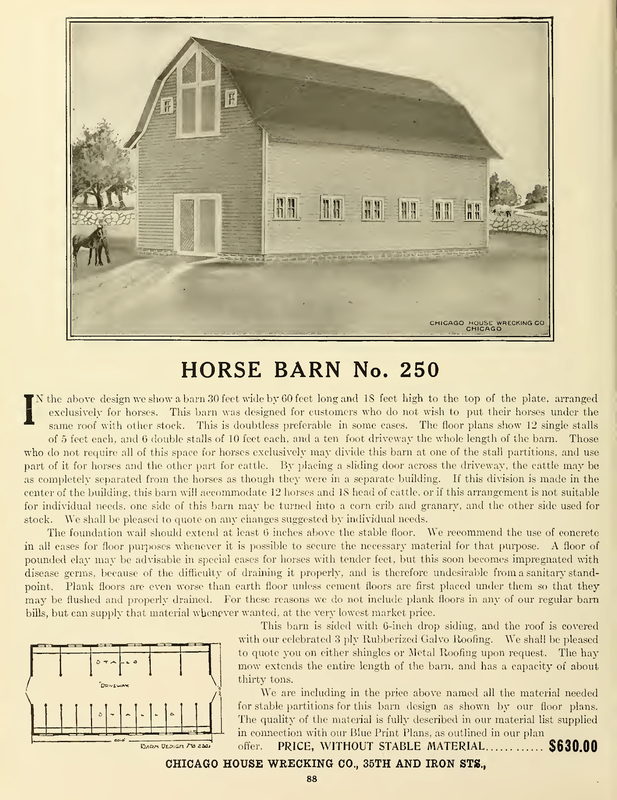 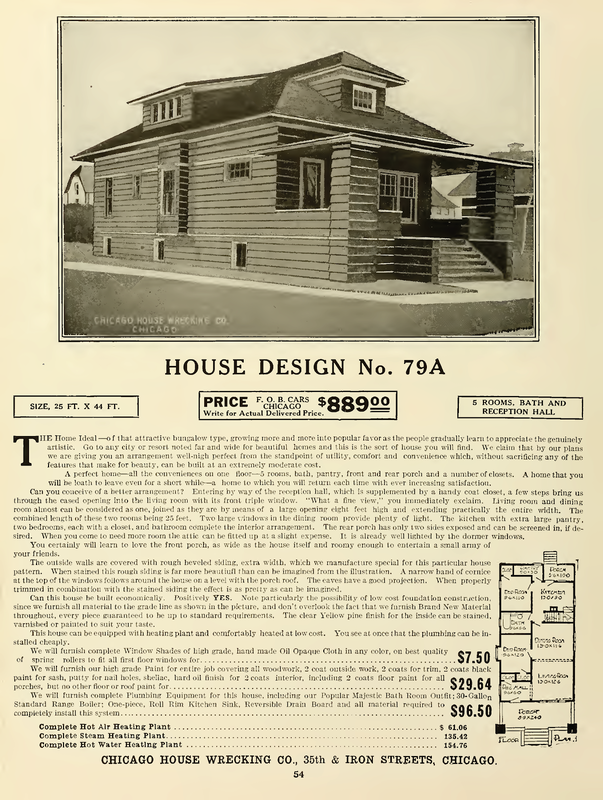 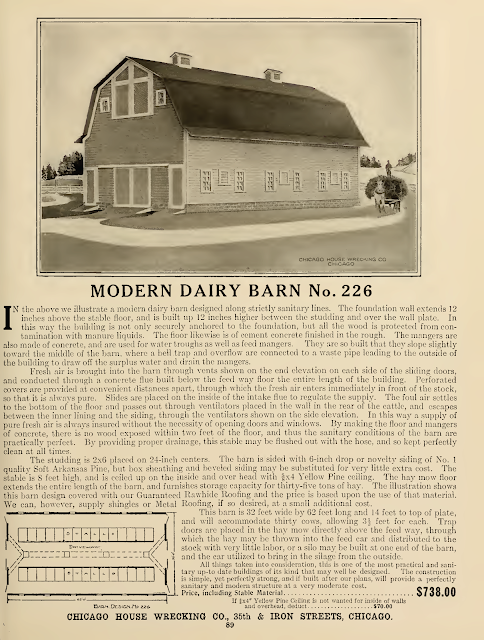 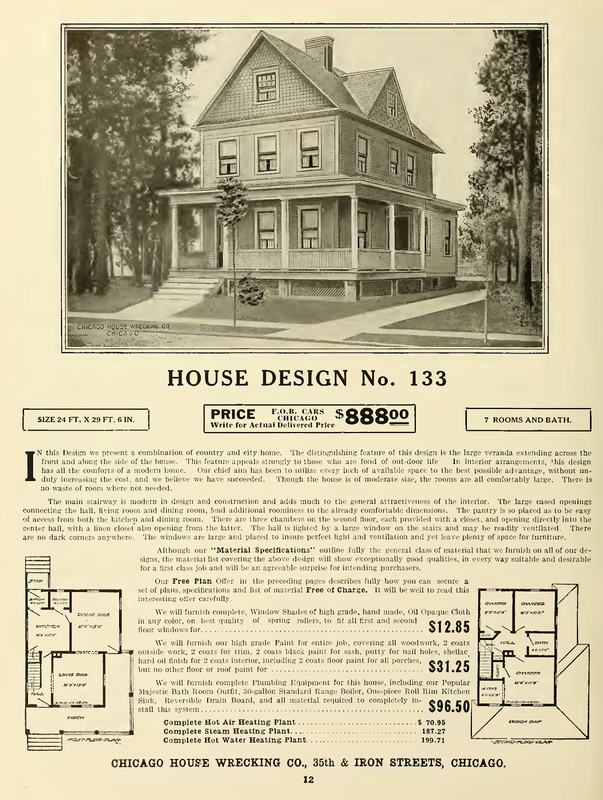 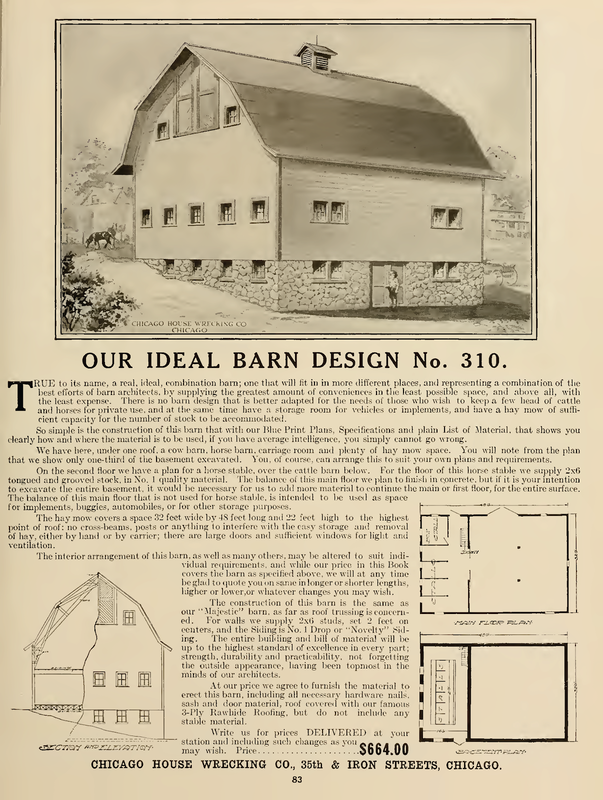 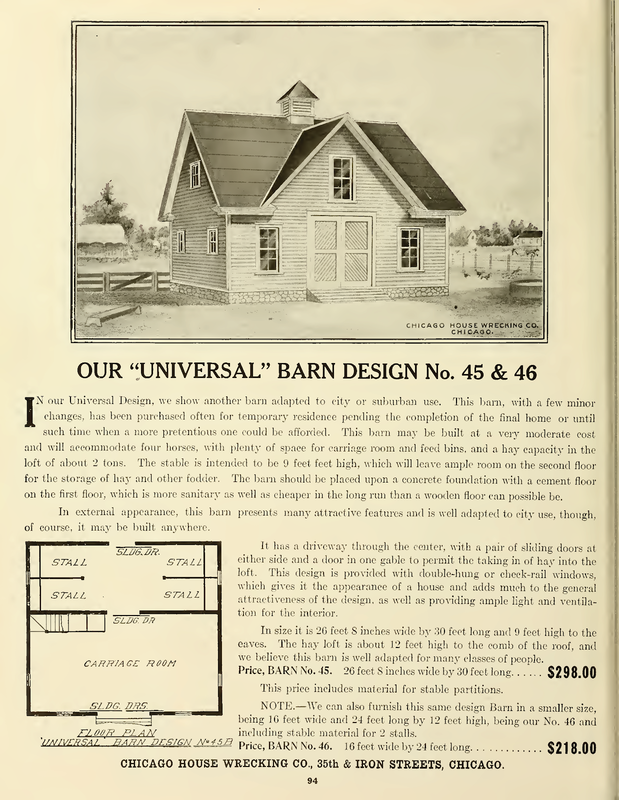 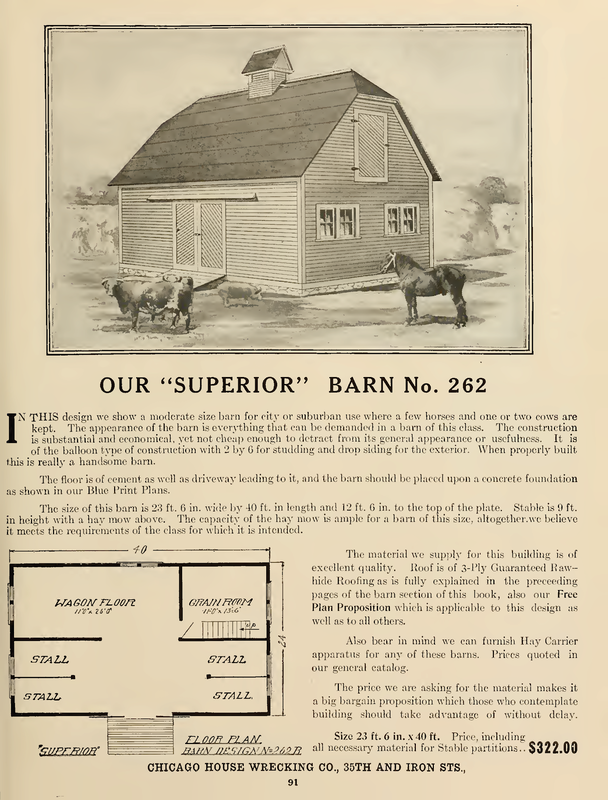 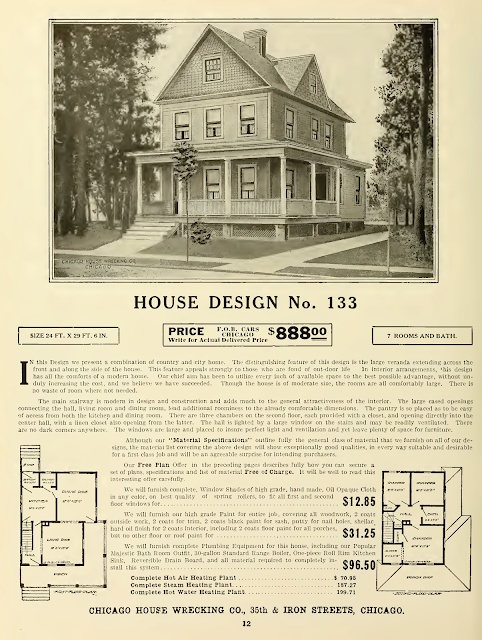 84, from the 1910 catalog is identified by the bay windows on the first and second floors and the shed dormer over the porch. 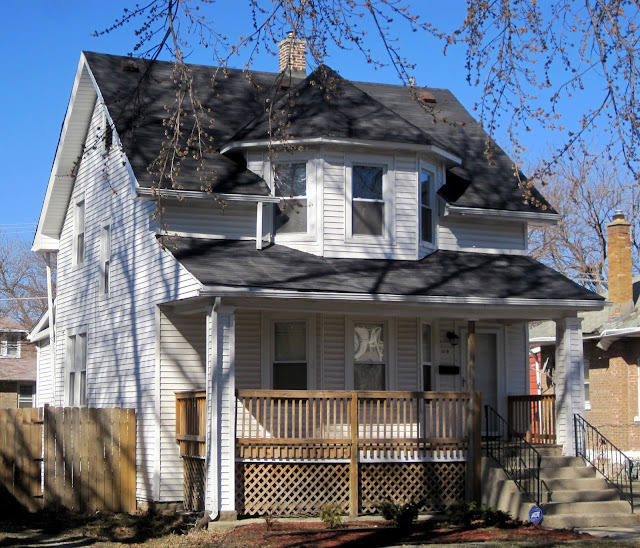 This house is located at: 1318 South 7th Avenue, Maywood, Illinois. From 1908 to 1920, there was an overlap in operations between Chicago House Wrecking Company and Harris Brothers Company. 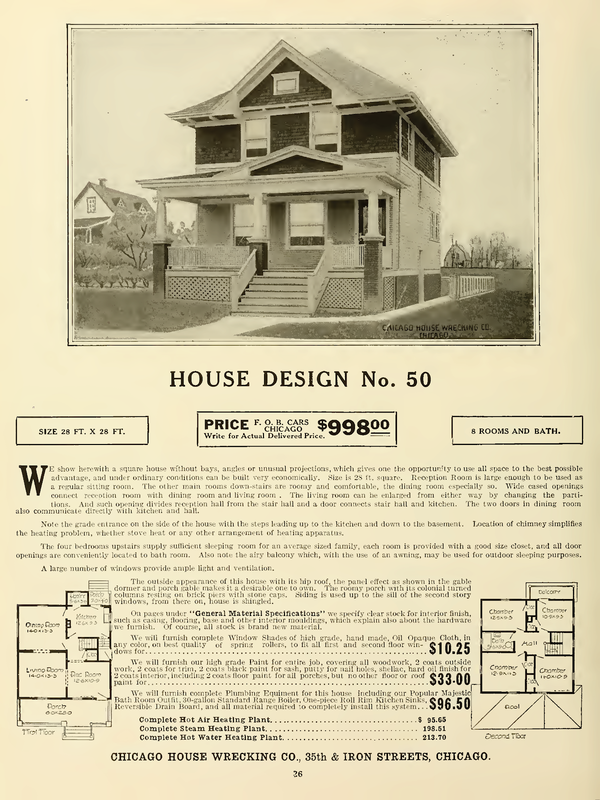 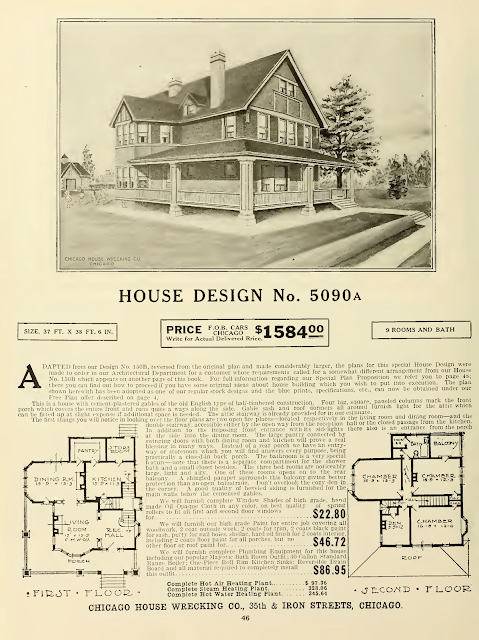 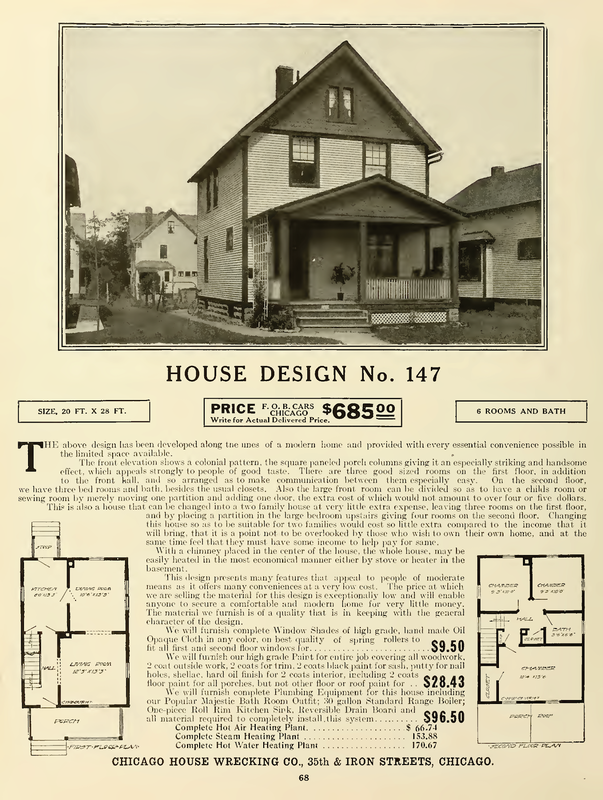 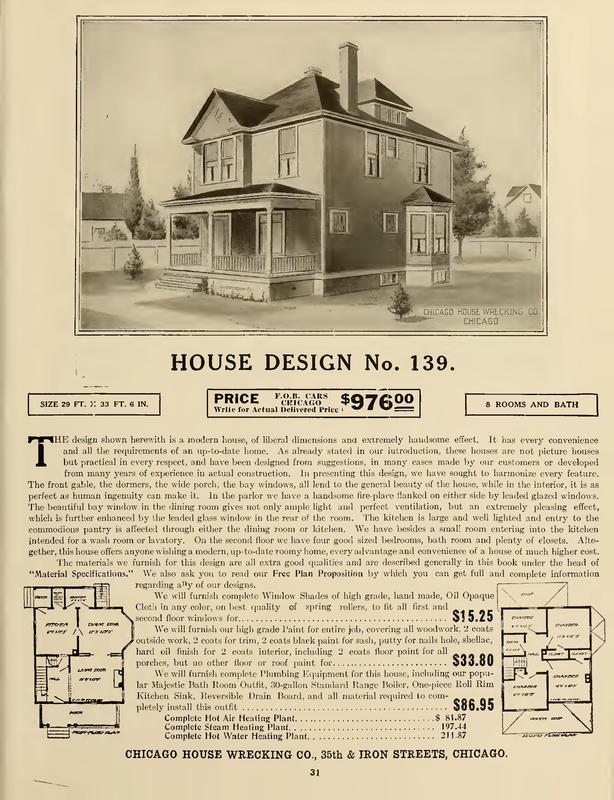 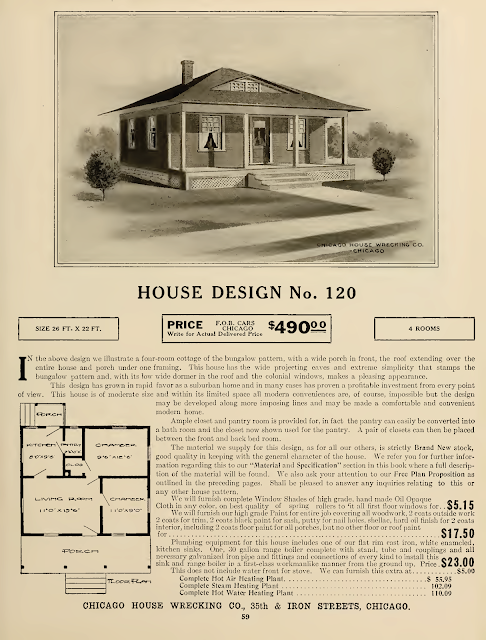 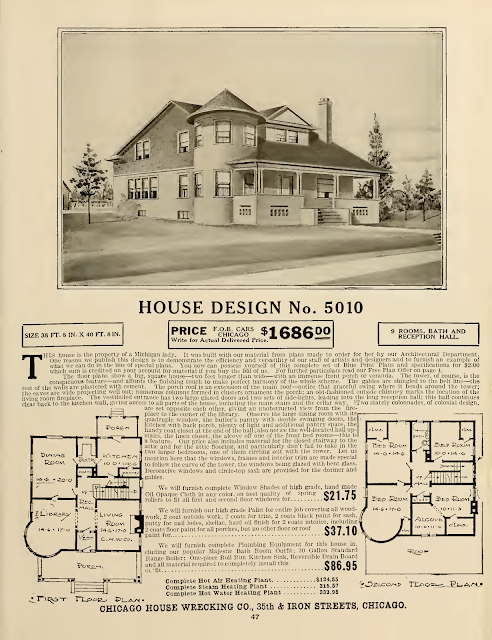 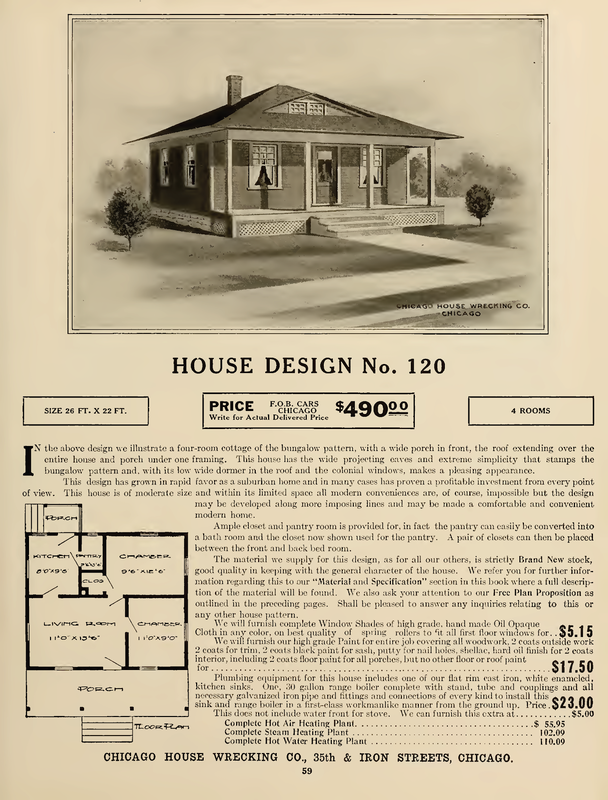 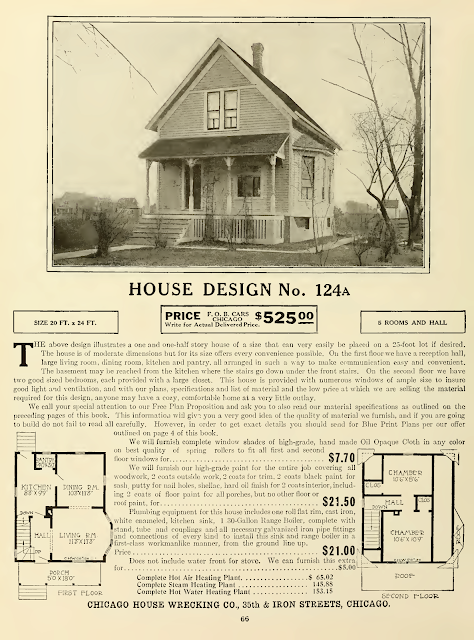 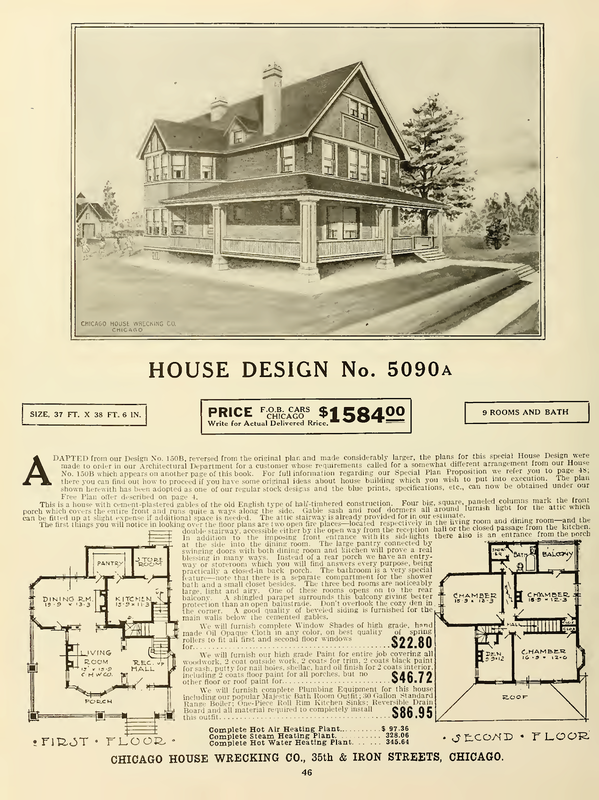 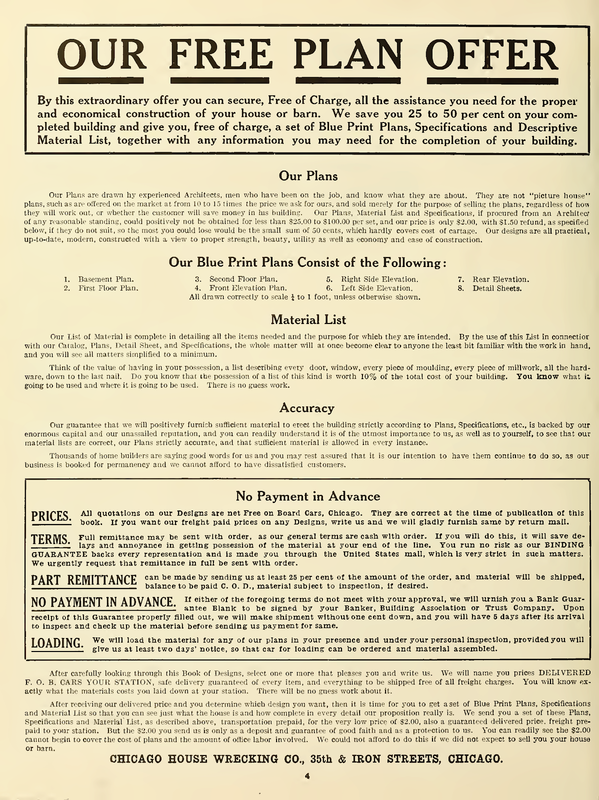 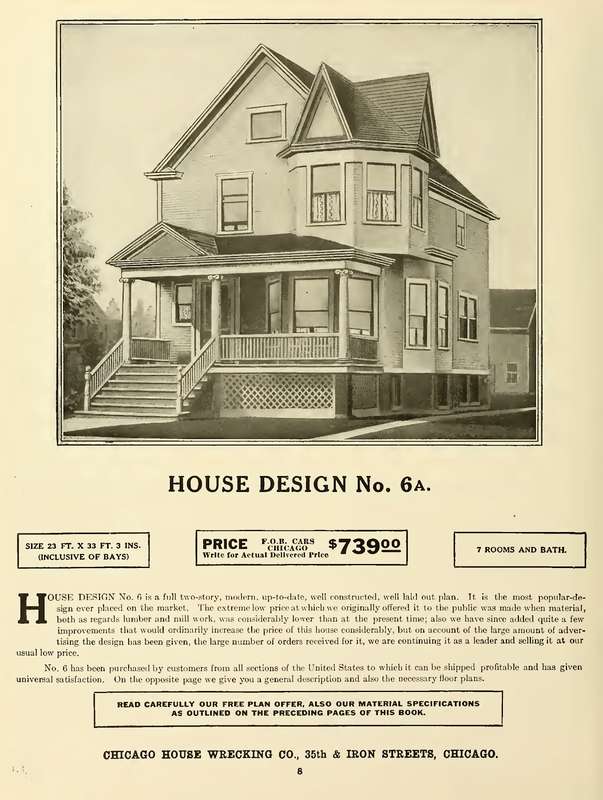 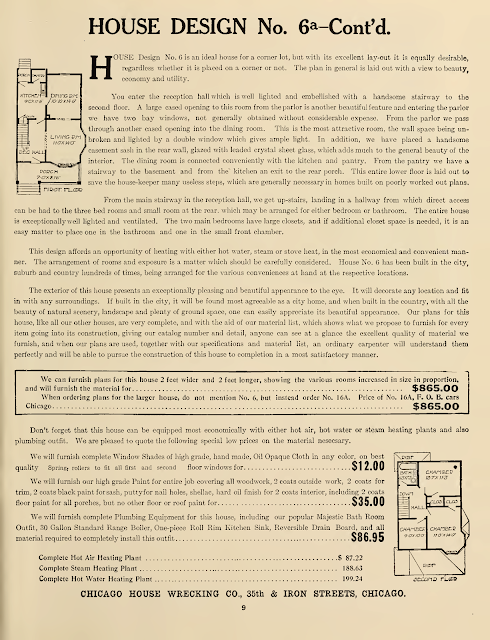 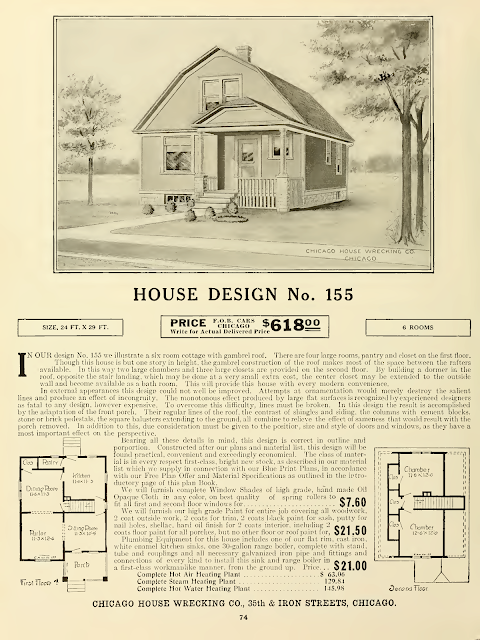 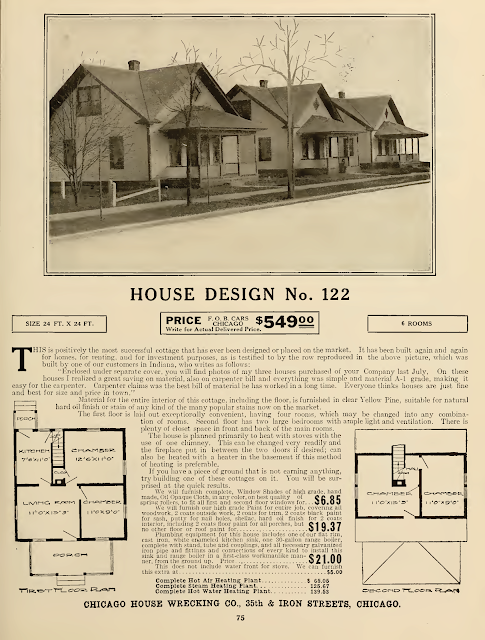 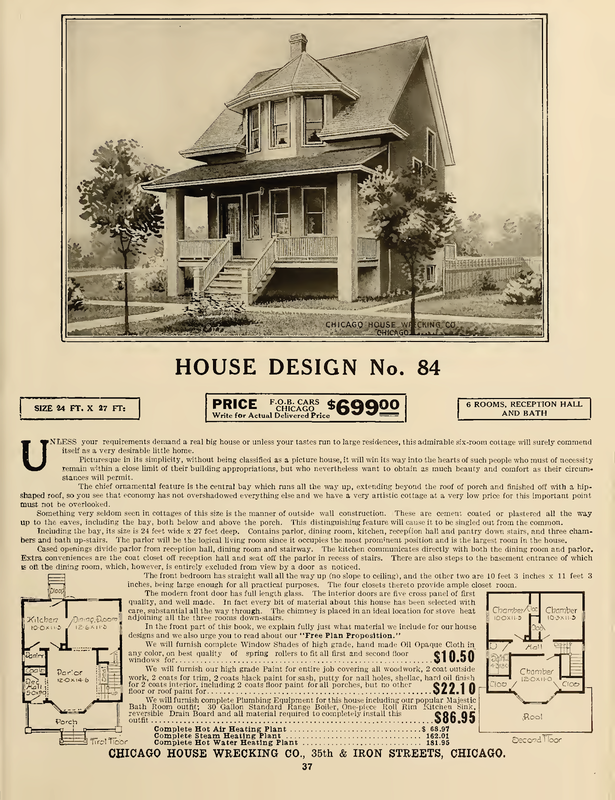 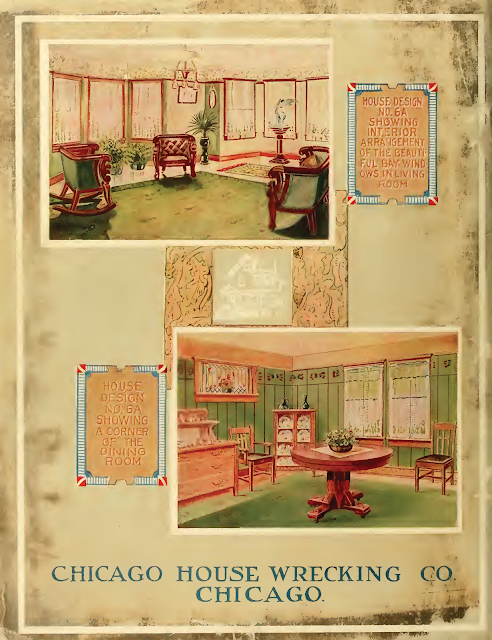 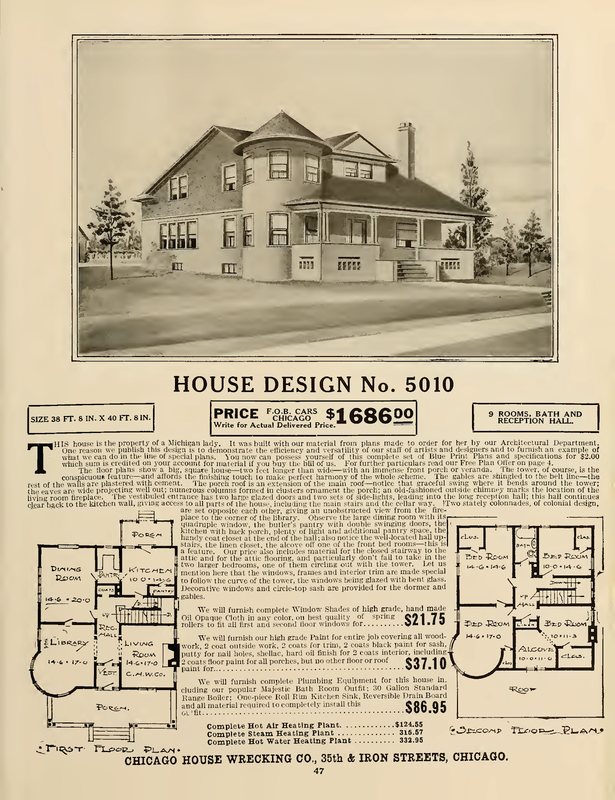 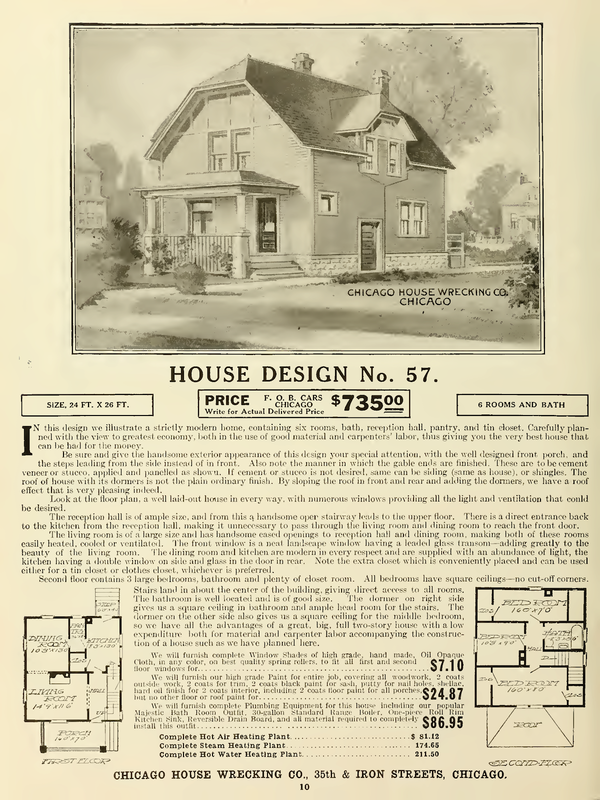 In 1910, the Chicago House Wrecking Company offered its first book of plans, which is noted in the the Catalog of Copyright Entries for January-December 1910 in the Library of Congress. 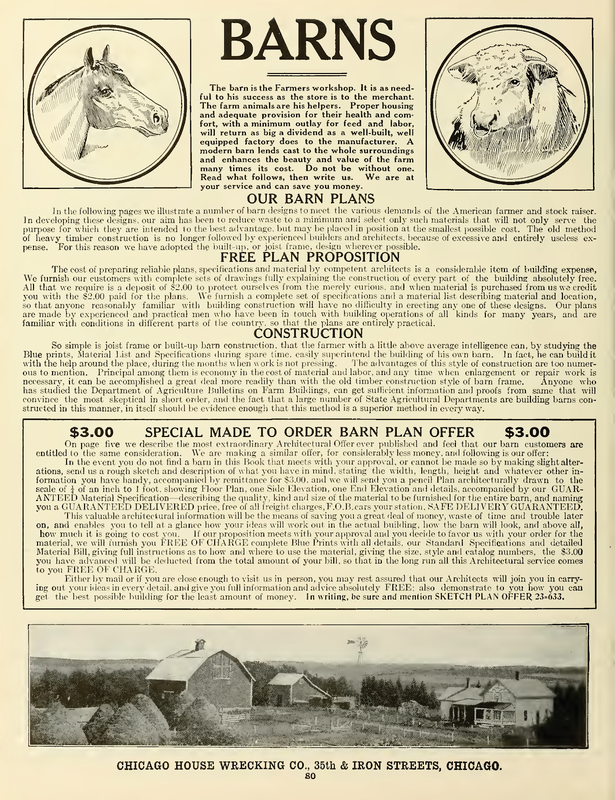 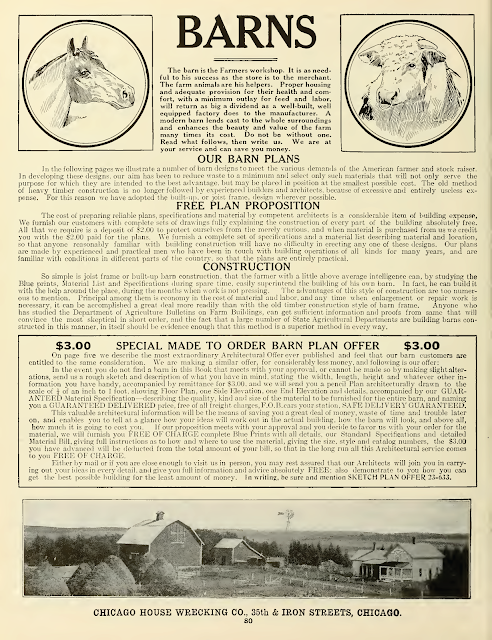 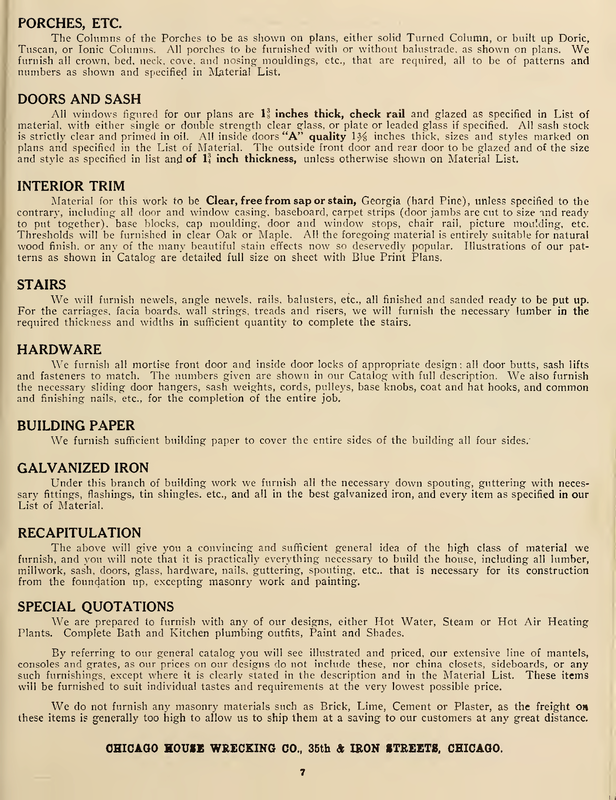 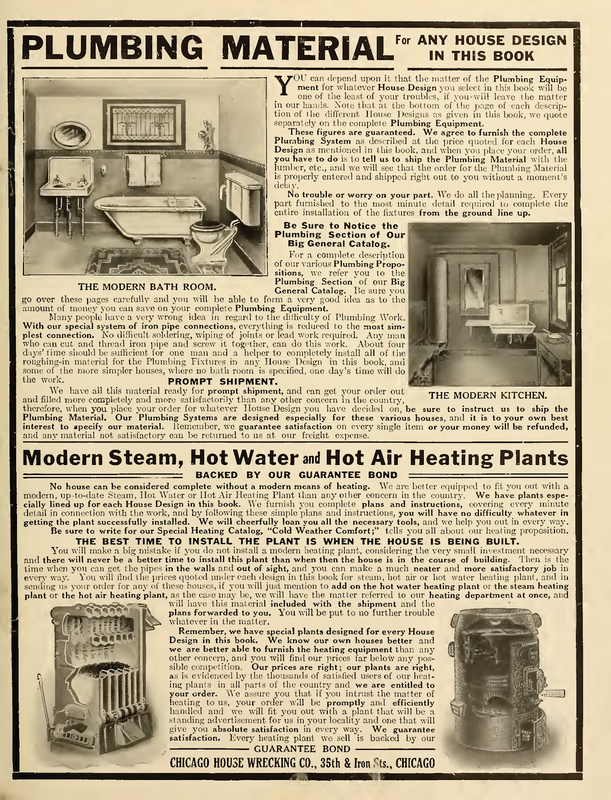 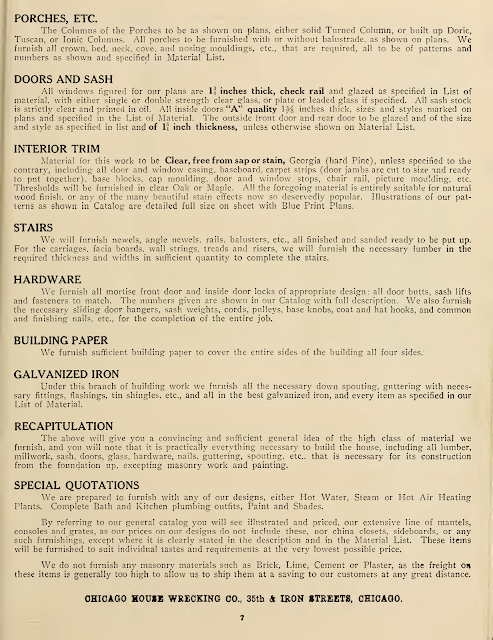 By 1918, Harris Brothers Company had established themselves with "The Harris Way" and its distinguishing details which included liberal terms and "money back for waste" as well as other unconditional guarantees. 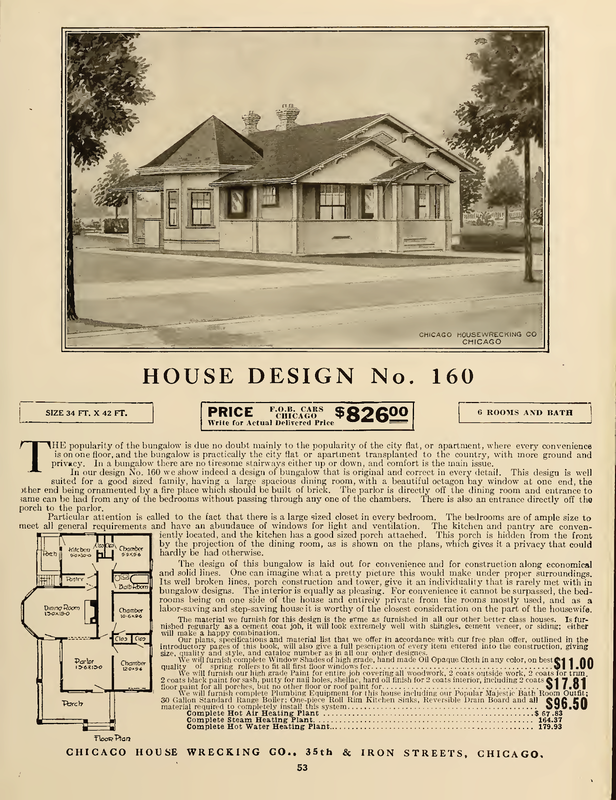 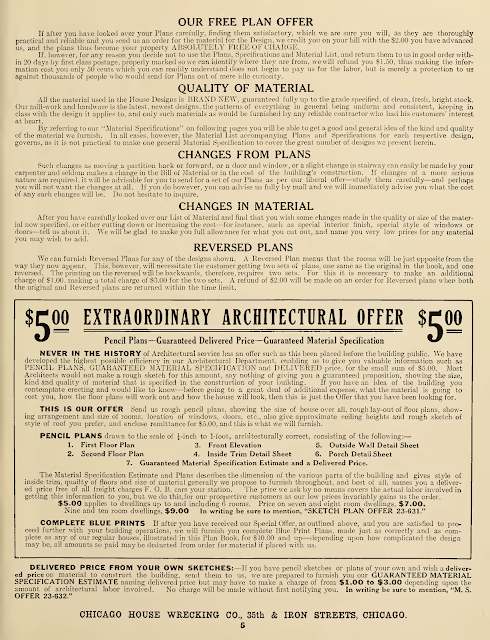 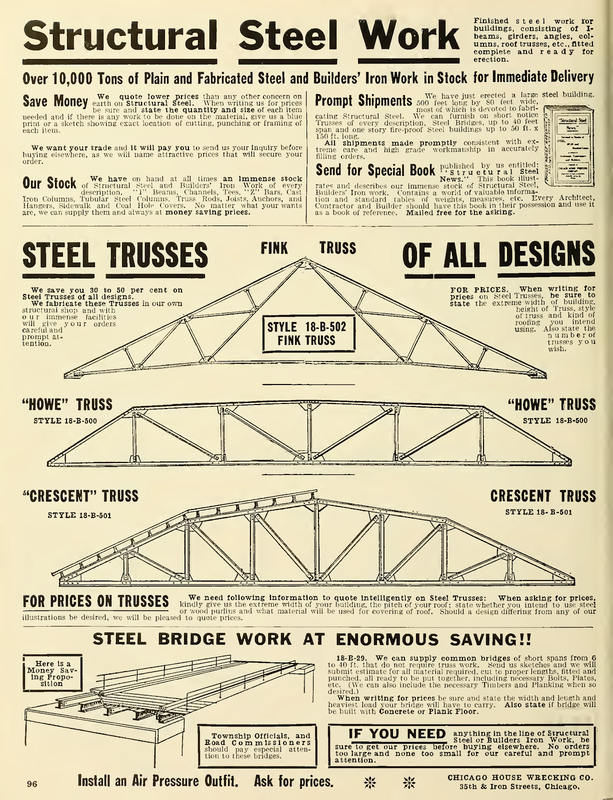 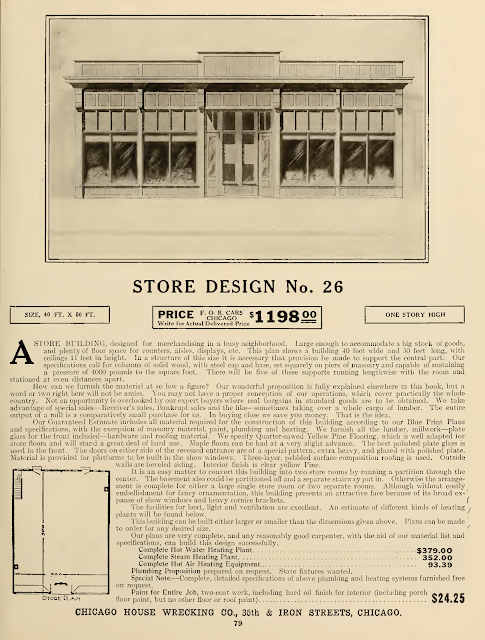 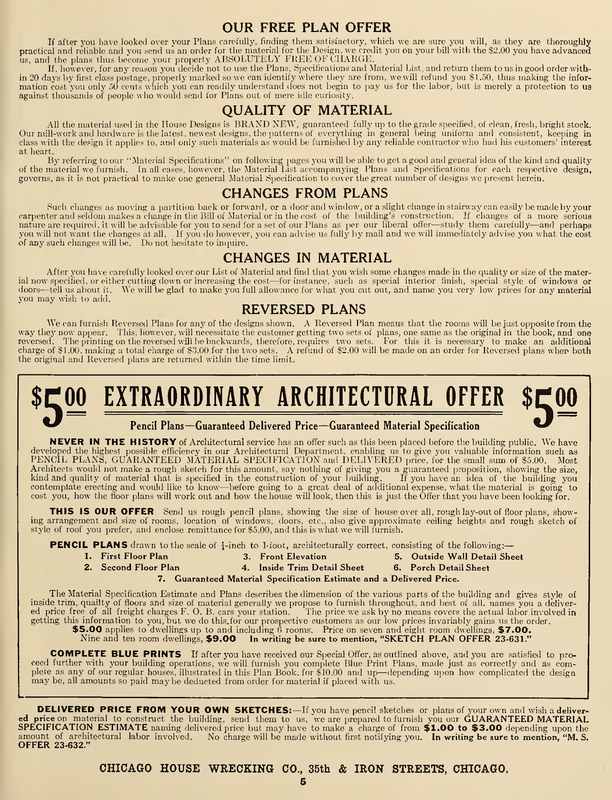 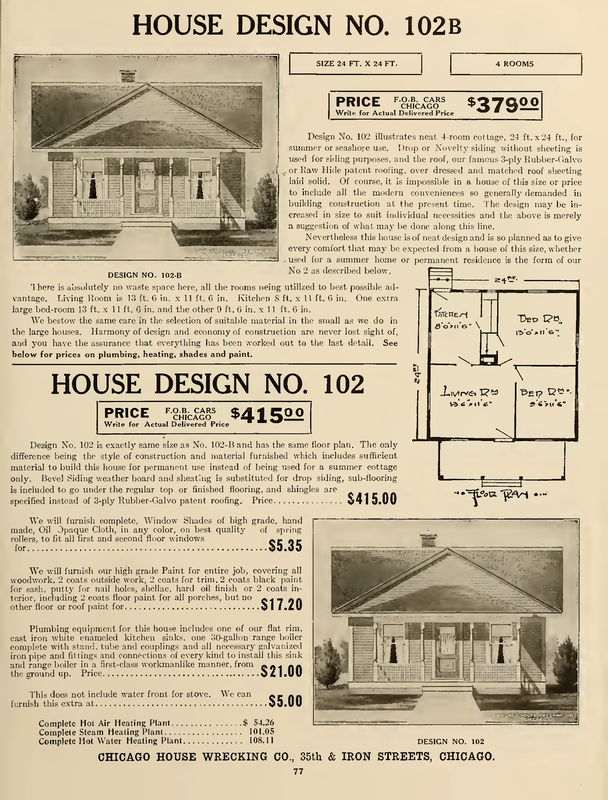 Like other companies, Harris offered a service to produce "special plans to order," which meant that they would take a customer's sketches and create plans to their specifications. 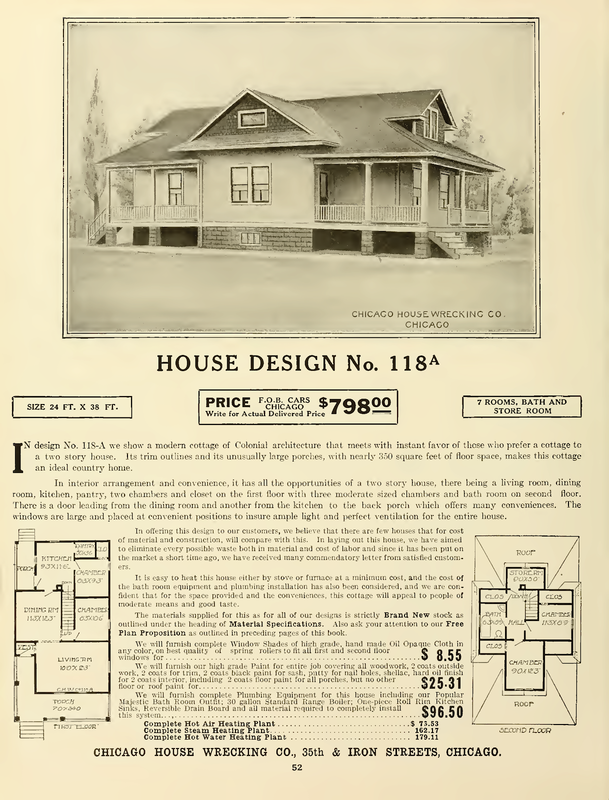 Customers ordering in sufficient quantity could negotiate cut-to-fit manufacturing as well, "when houses are ordered in quanities, sufficiently large to warrant" production. Most of the Midwest kit home manufacturers, Aladdin, Sears, Montgomery Ward (meeting their demand for kit homes, subcontracted the manufacturing to Gordon Van Tine and sold kit homes from about 1921 to 1931), Lustron, and others delivered their products regionally, so the vast majority of the homes designed and manufactured by Harris are found in Illinois, Ohio, and Michigan though testimonials shown in the catalog range from builders as far flung as Maine to Kansas. 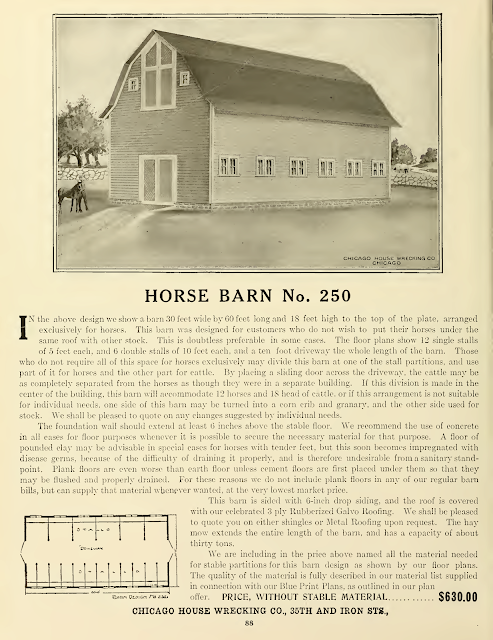 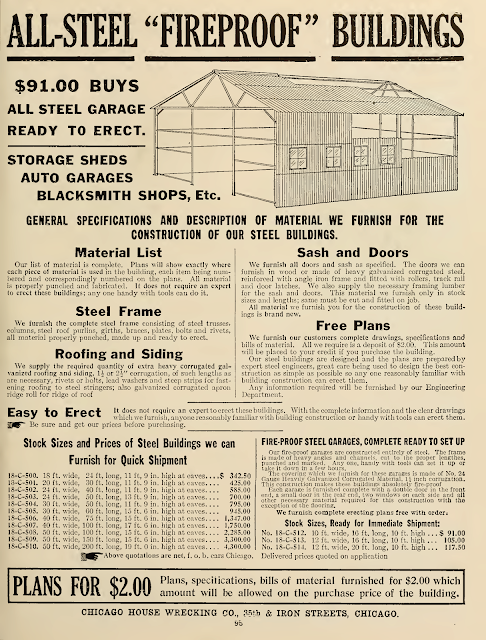 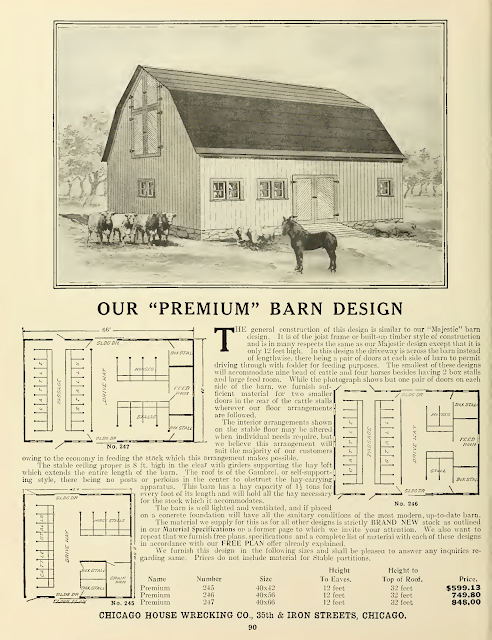 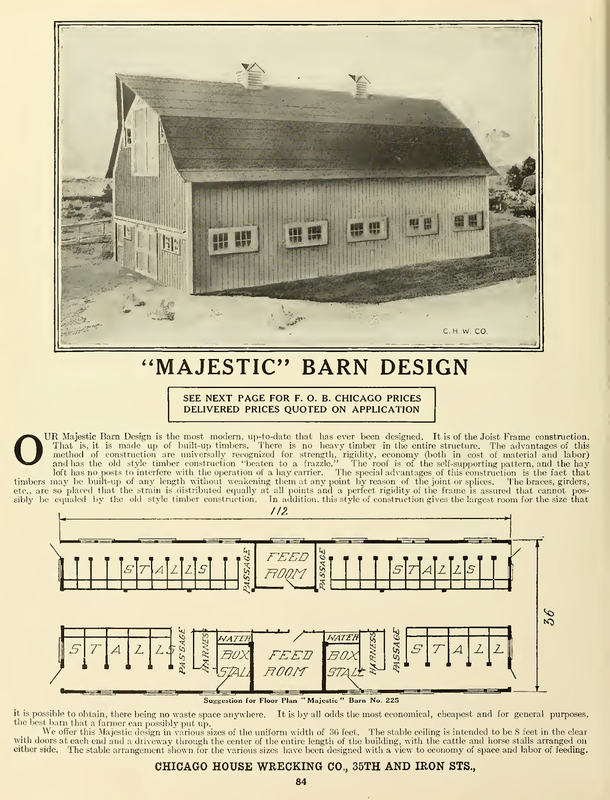 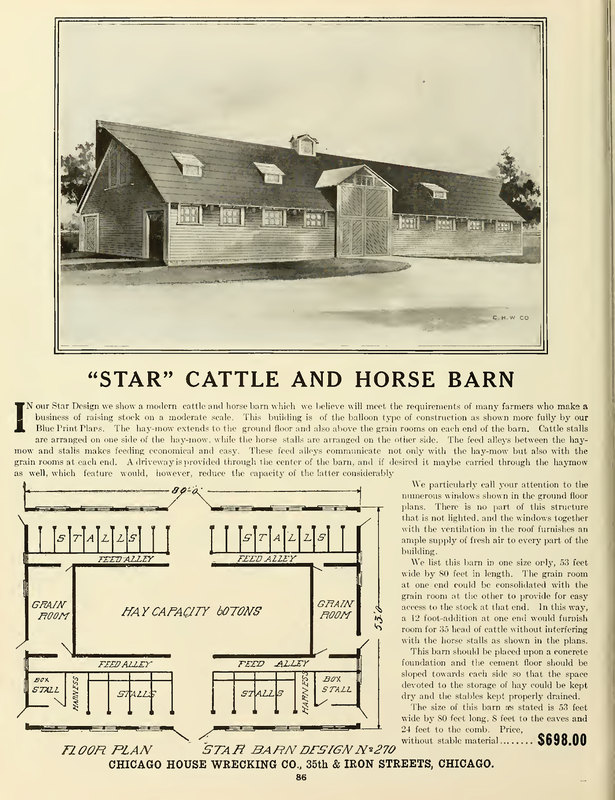 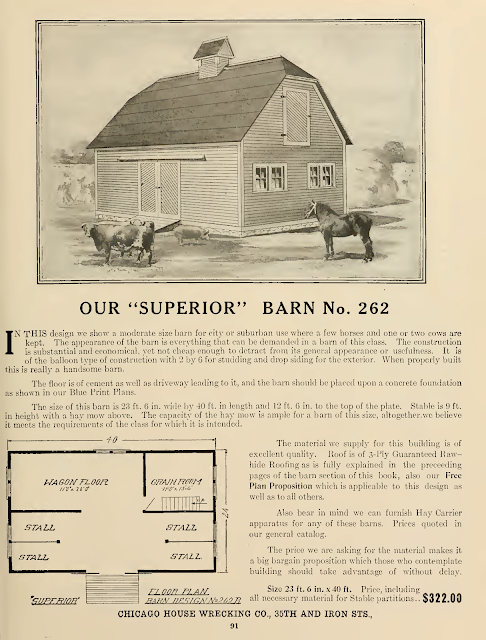 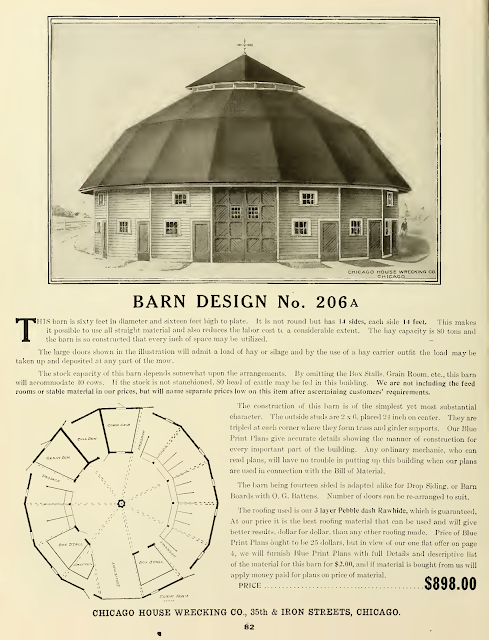 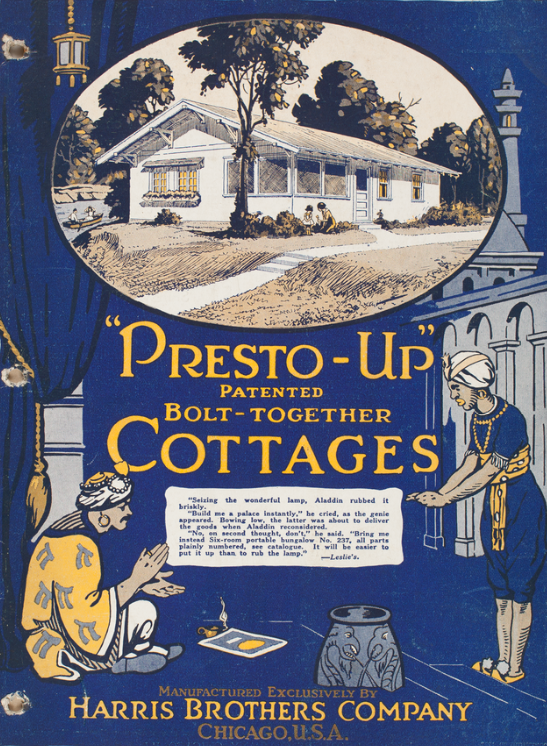 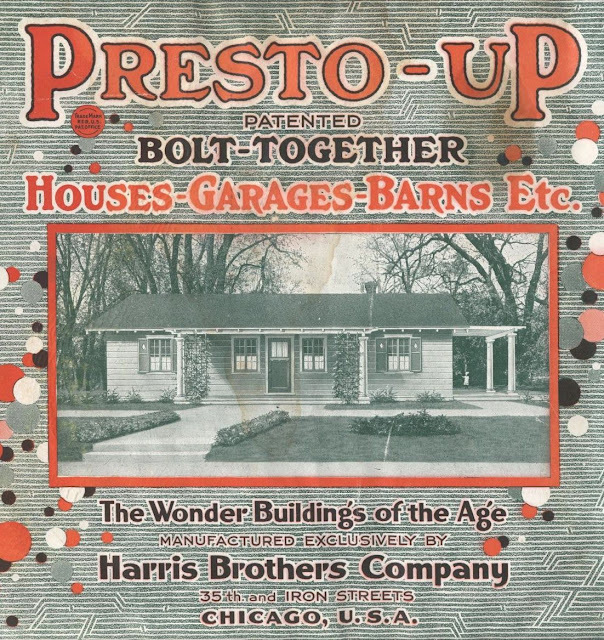 "Presto-Up," was Harris Bros. patented, bolt-together houses, garages and barns etc. 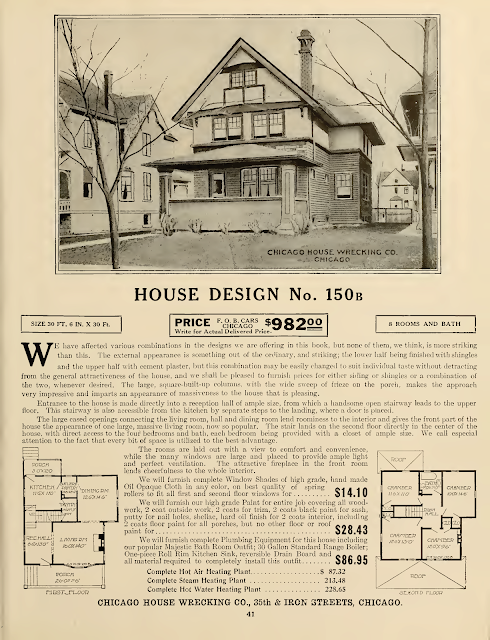 "In our earlier career we were incorporated under the name of the Chicago House Wrecking Company. 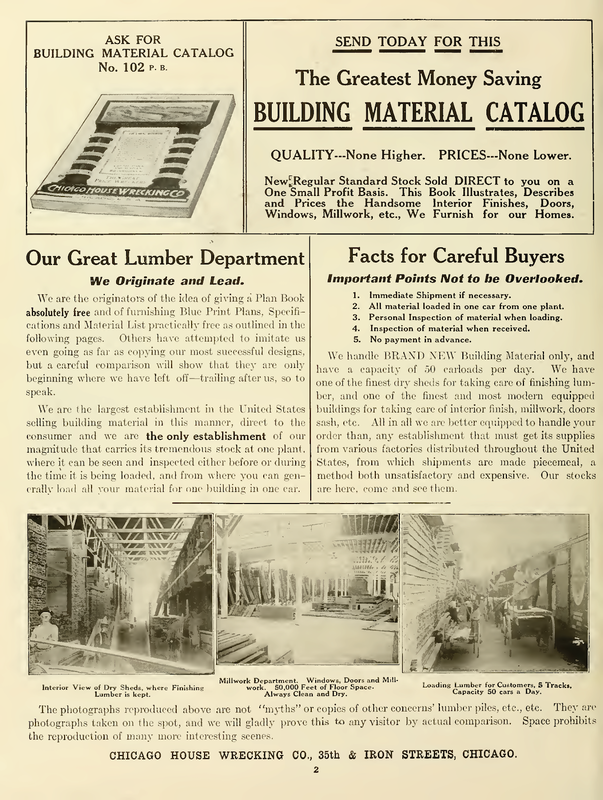 For years we were known to the public, under this name, as the Bargain Mart of the world, but as time passed we were, by reason of the great savings made on new lumber and mill-work materials purchased for customers, forced into the new material business and we realized that the old name gave the wrong impression. 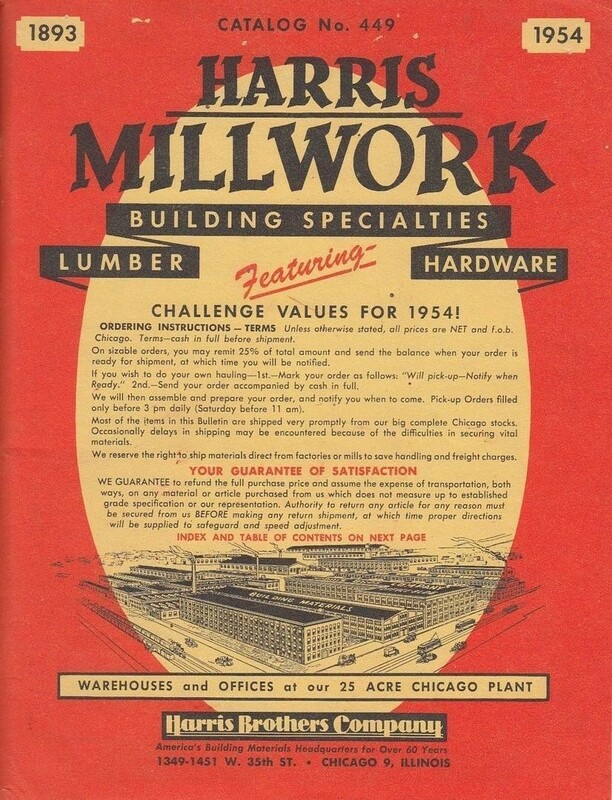 Millions of dollars have been spent by us to acquaint the buying public with the old name, still the four Harris Brothers, the men who built this great institution decided that their best interests demanded a change of name that would not mislead. 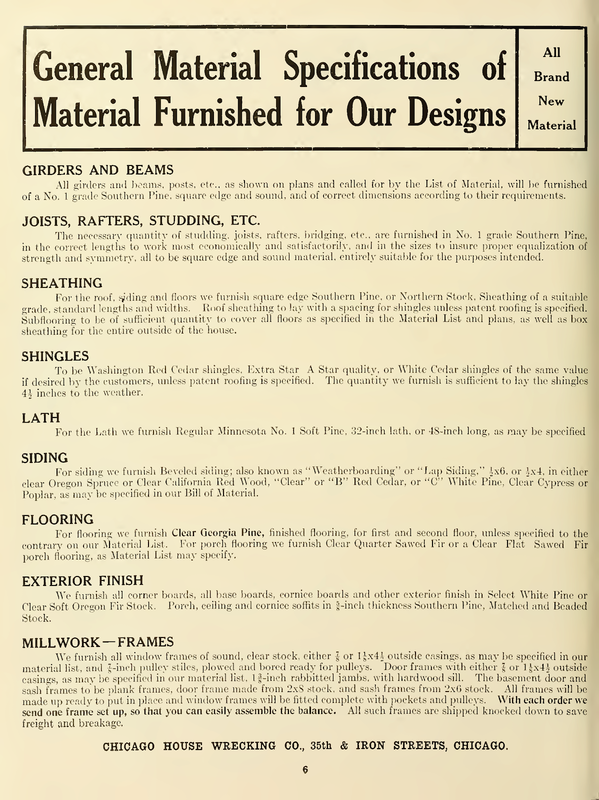 Remember we furnish new material only." 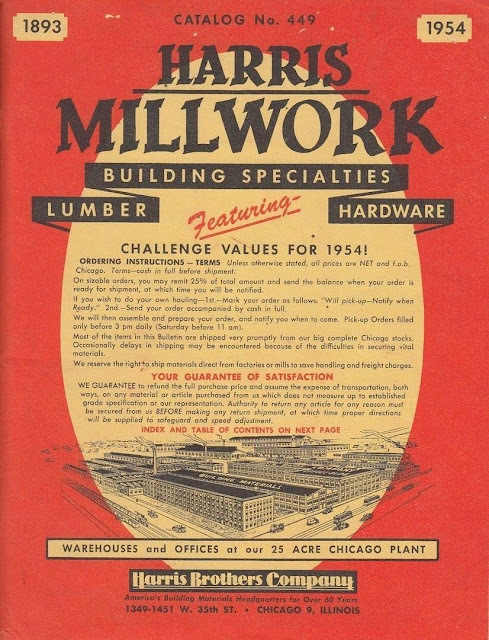 Harris Brothers expaned, opening the Harris Millwork plant at 1349-1451 W. 35th Street, Chicago, which was on 25 acres, housing their plant, warehouse and offices for the company. 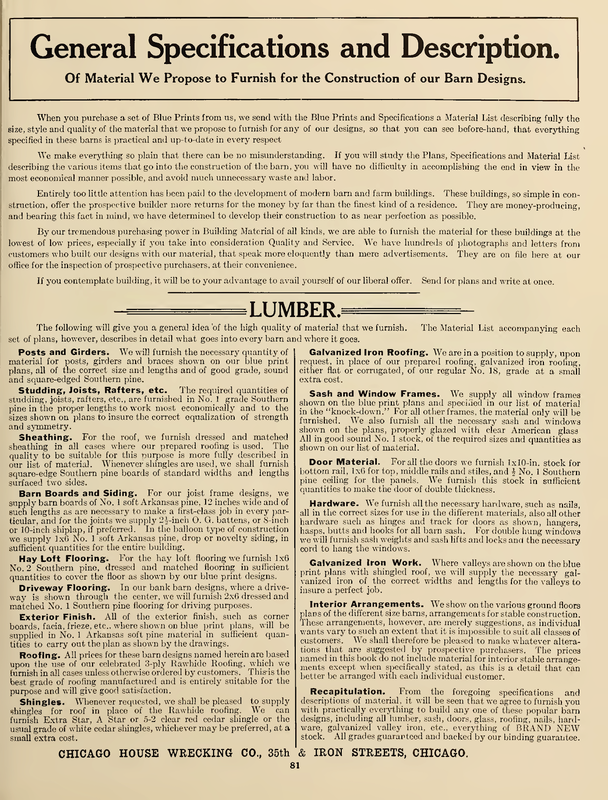 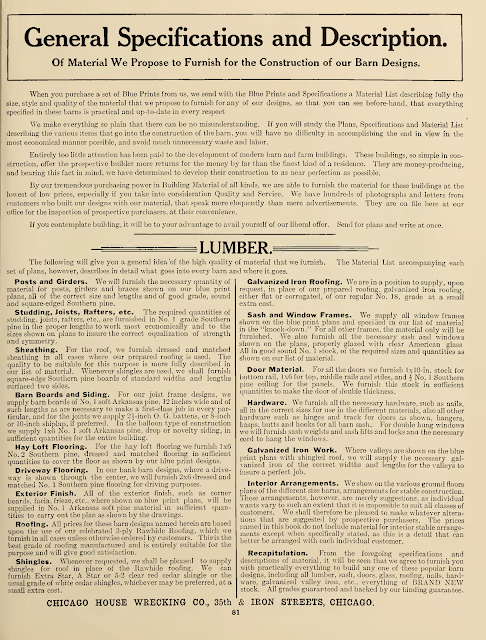 After filing for bankruptcy in 1933-34, the company reincorporated as "Iron Street Lumber Company." 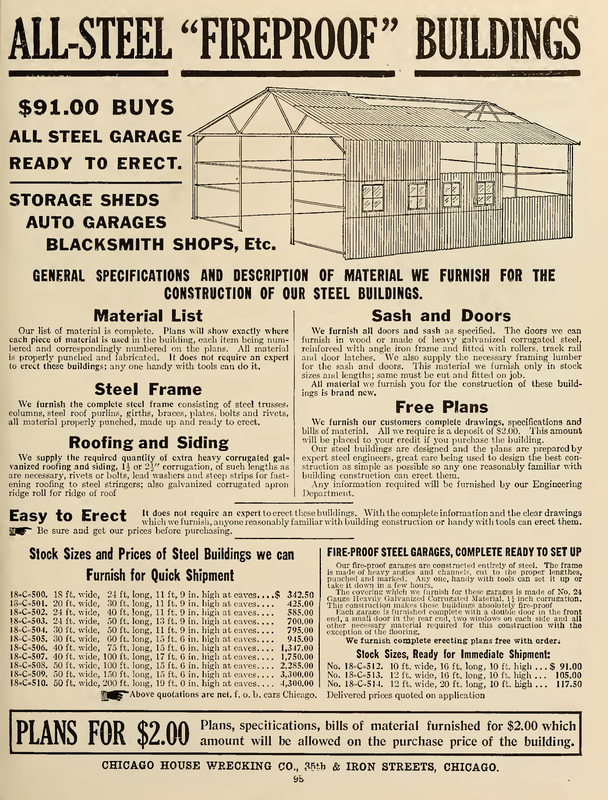 In 1947, Iron Street Lumber Company, by then a large construction company, purchased Silcrest Window Manufacturing Company. The company remained in business until 1960, producing doors and windows from their plant in Wausau, Wisconsin. 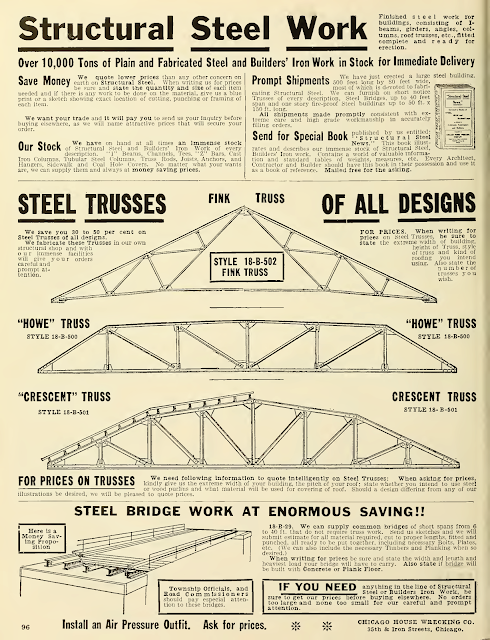 Silcrest became Harris-Crestline Corp. in 1960 after the company as sold. 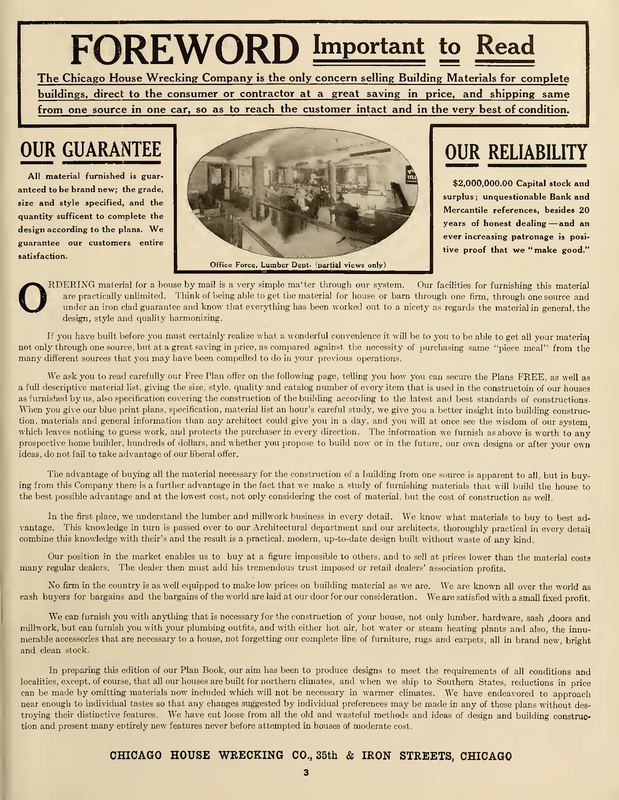 Sentry Insurance Company bought the Harris-Crestline Corp. in 1981. 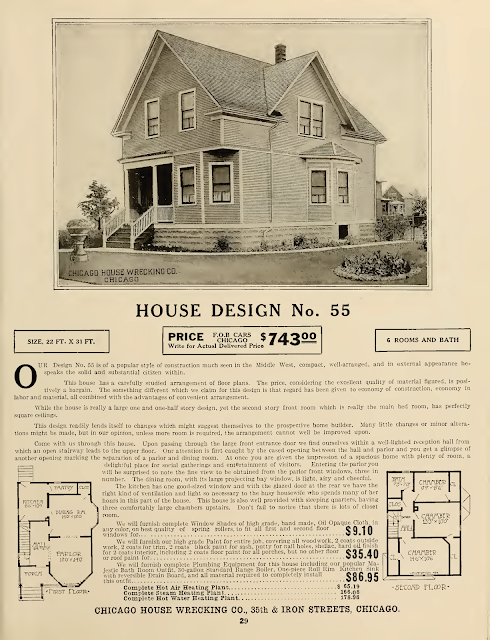 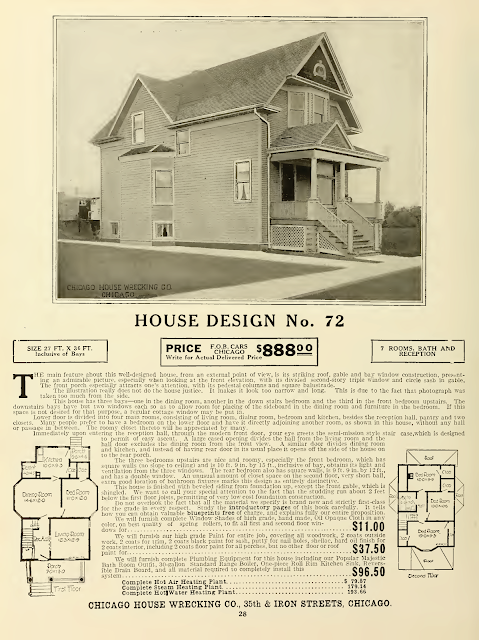 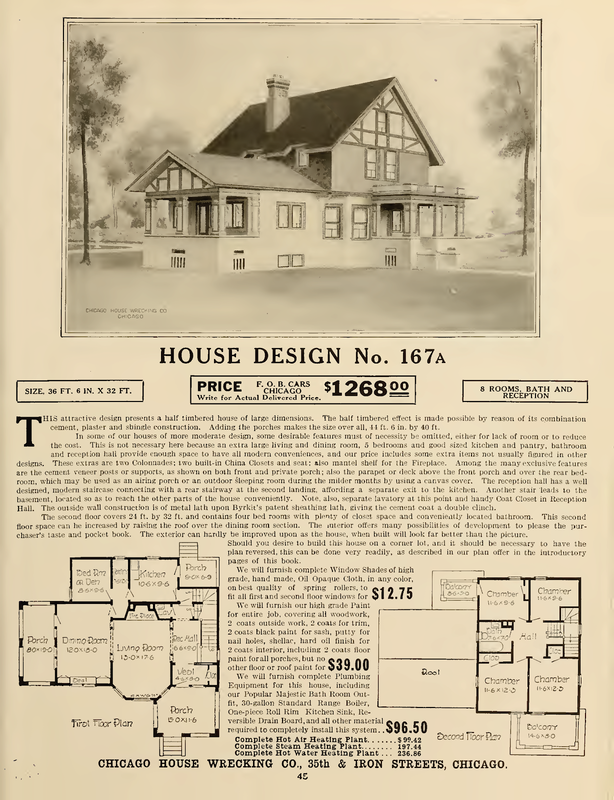 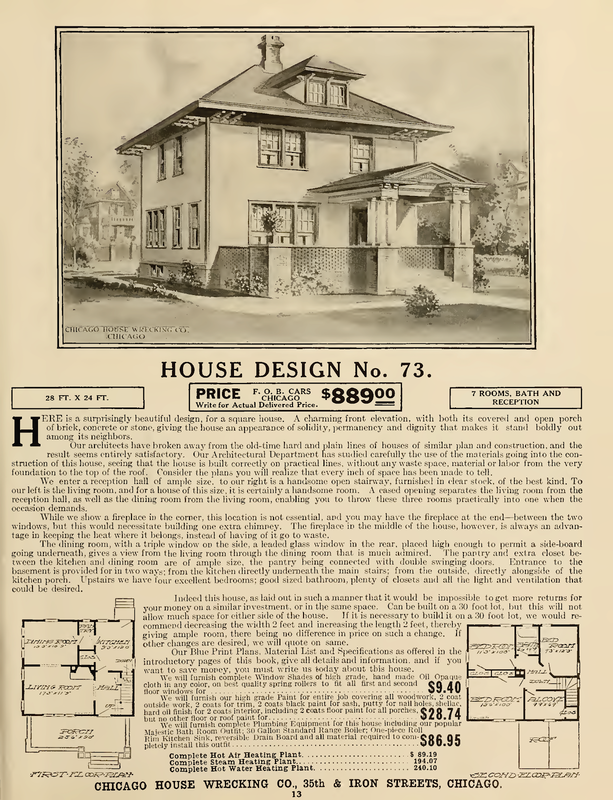 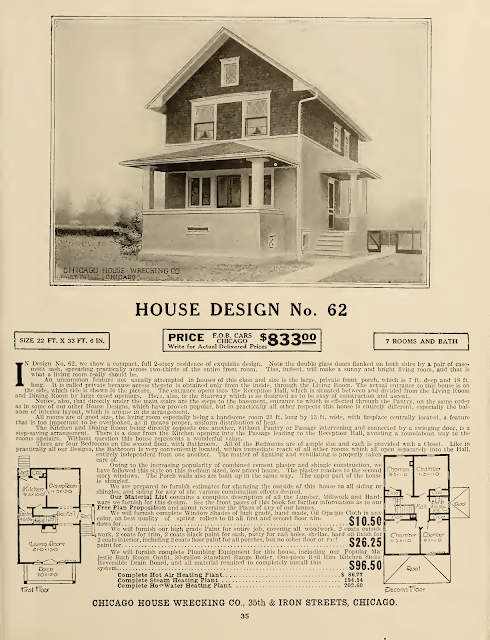 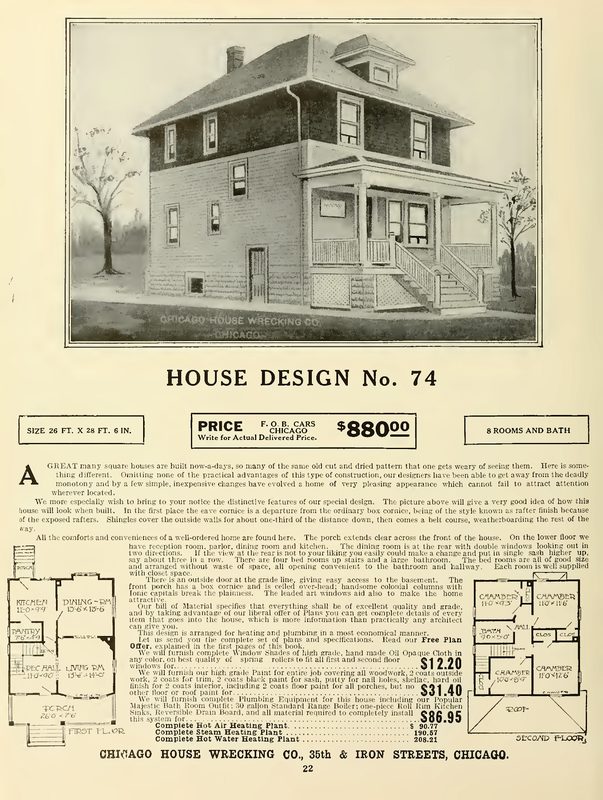 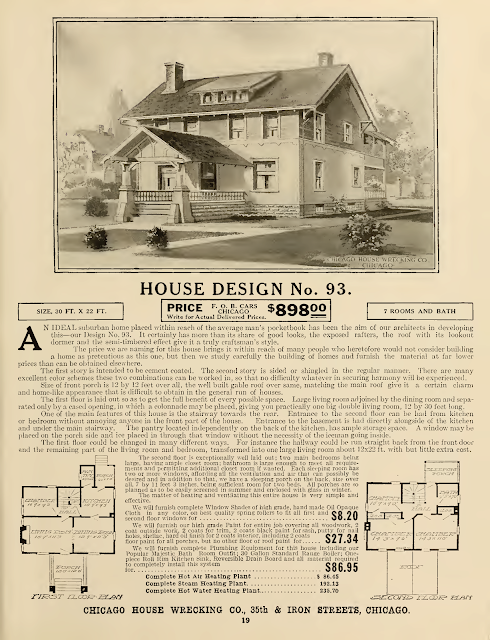 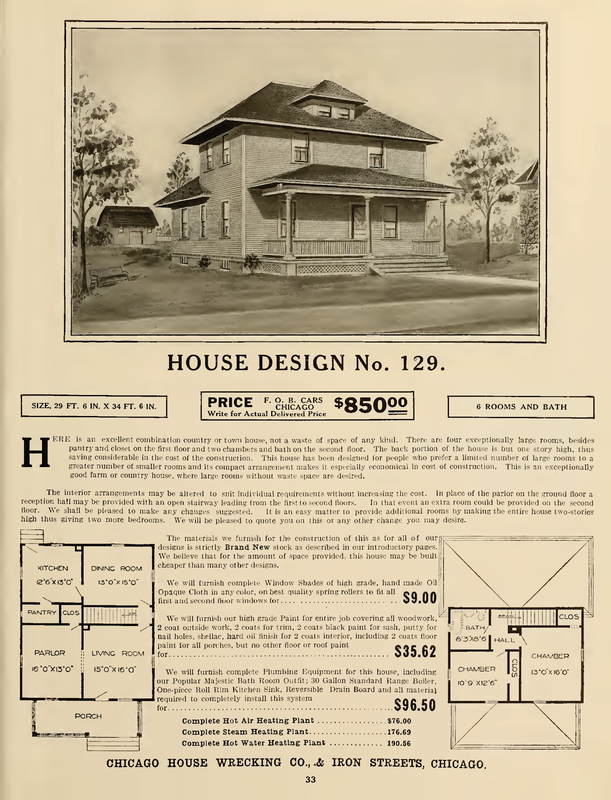 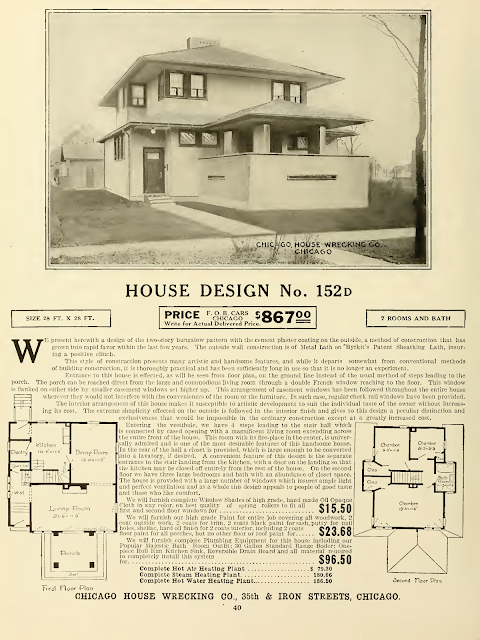 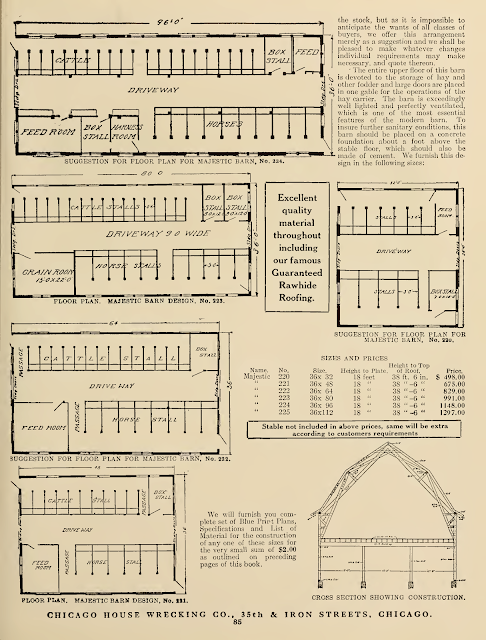 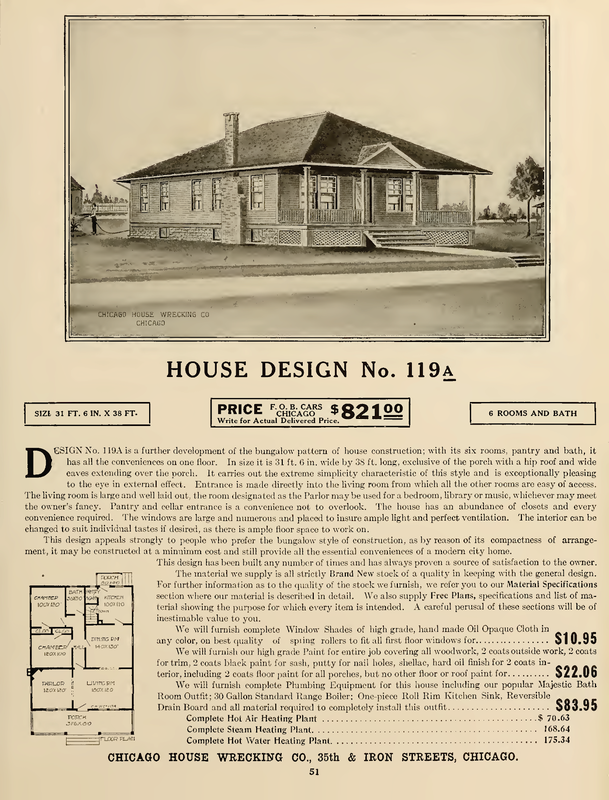 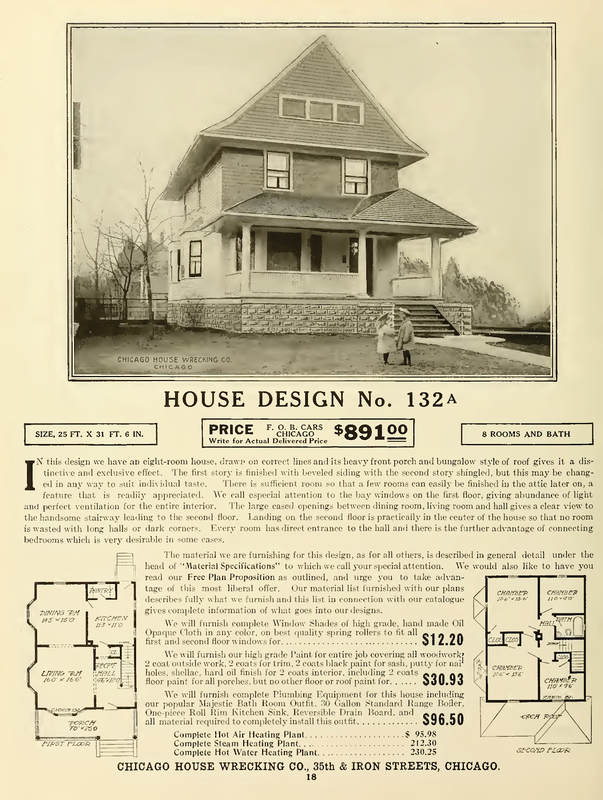 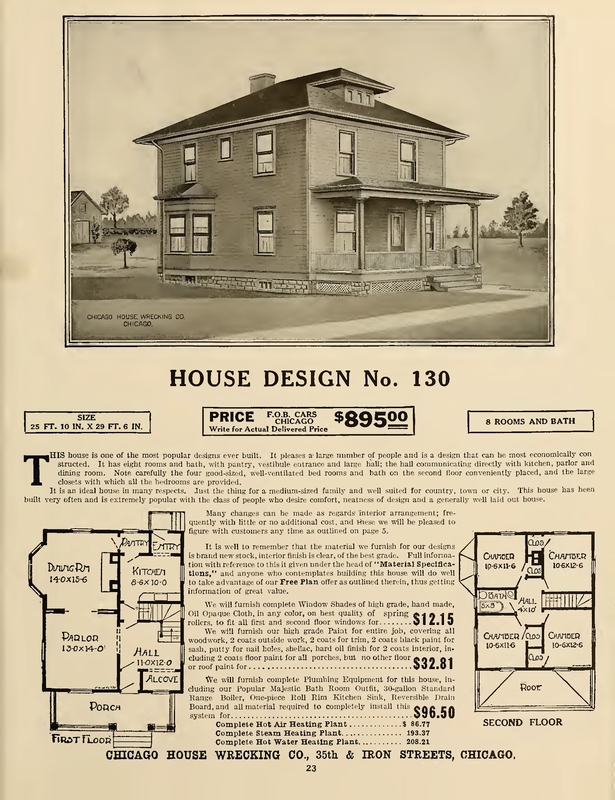 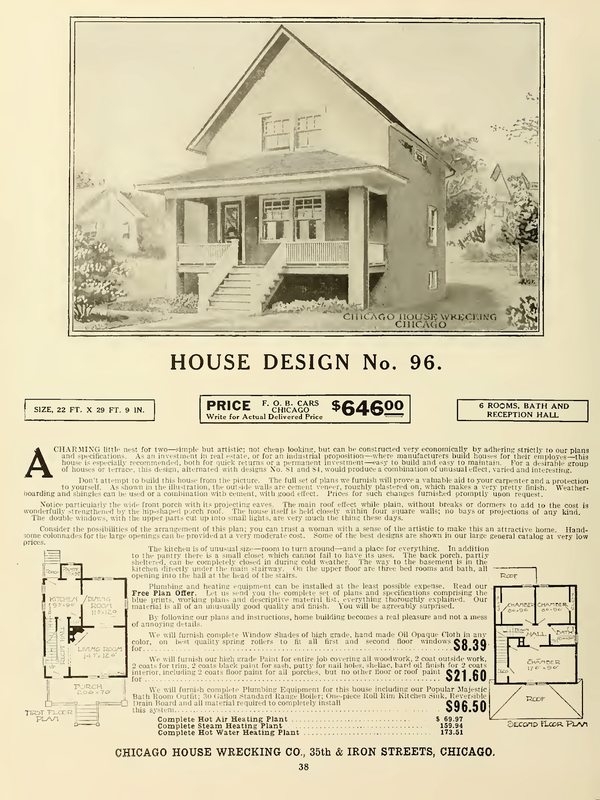 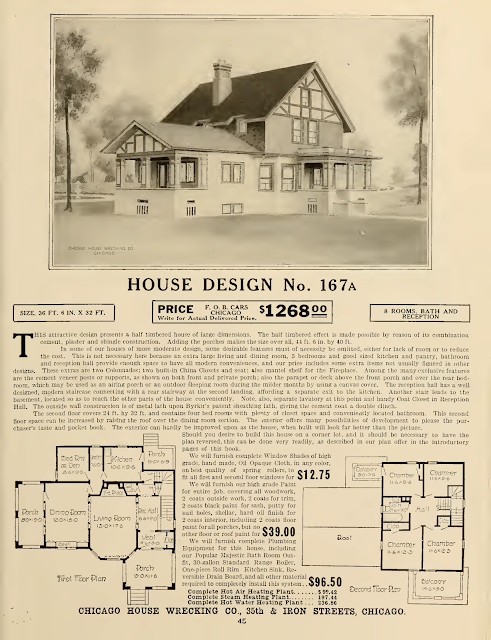 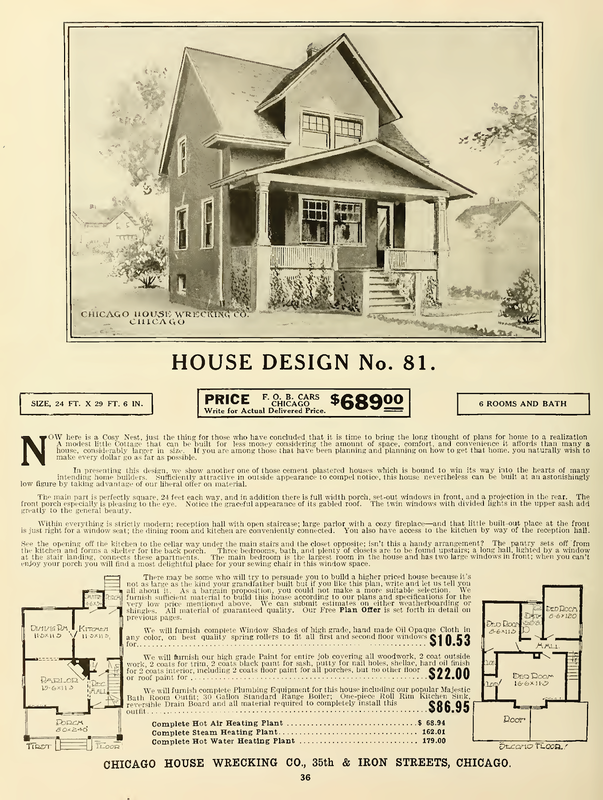 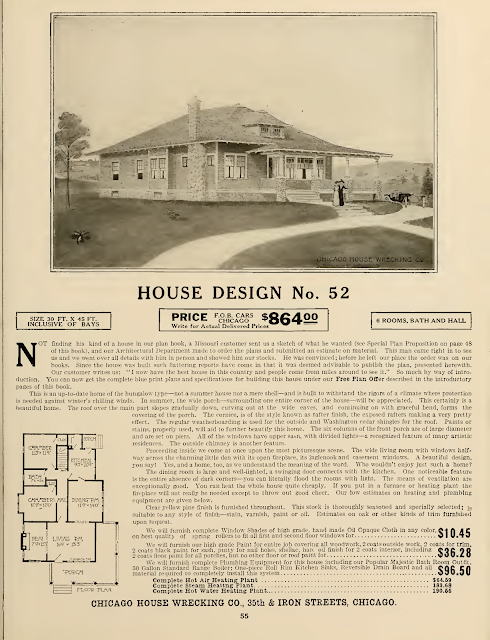 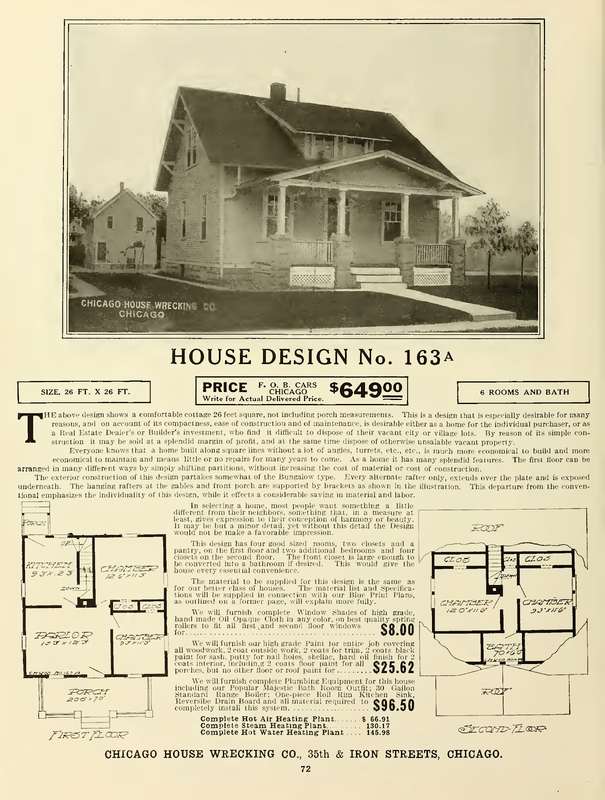 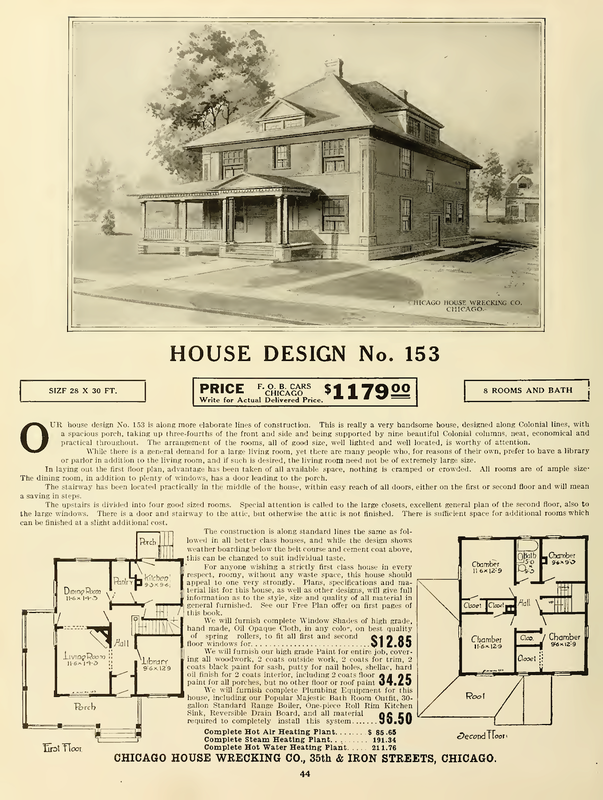 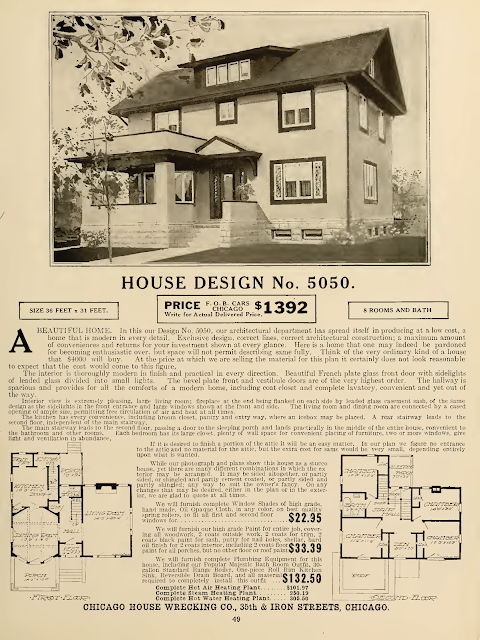 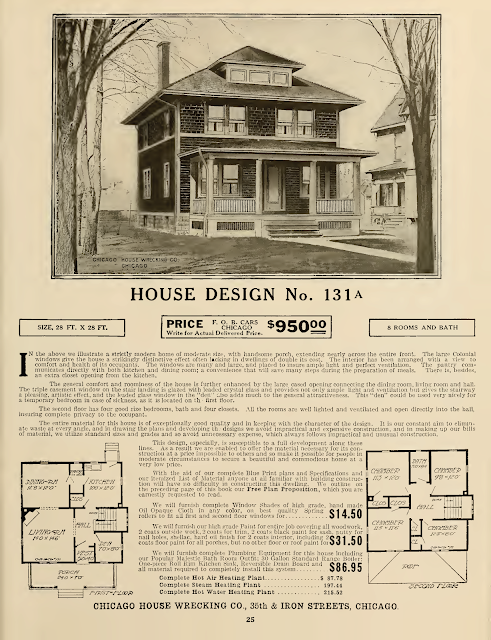 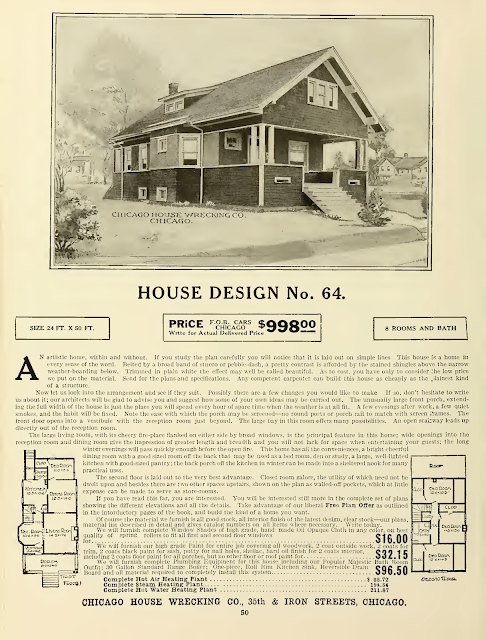 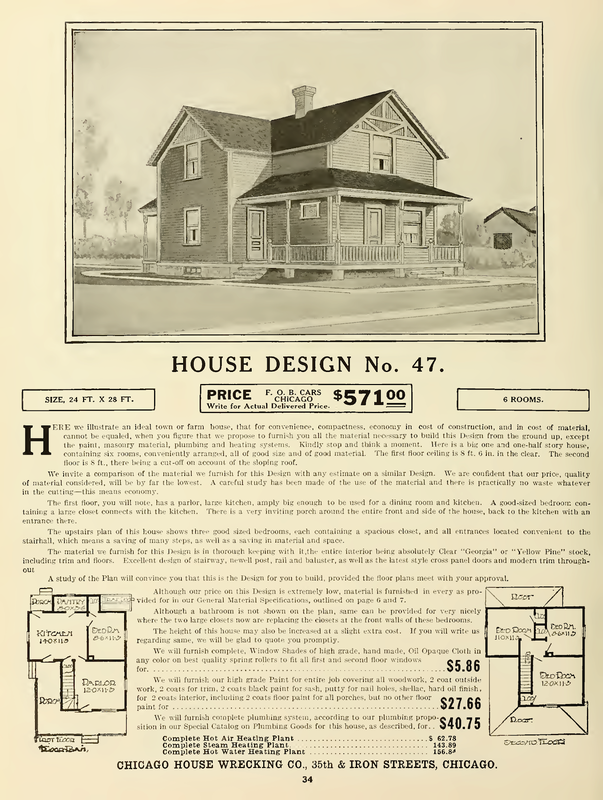 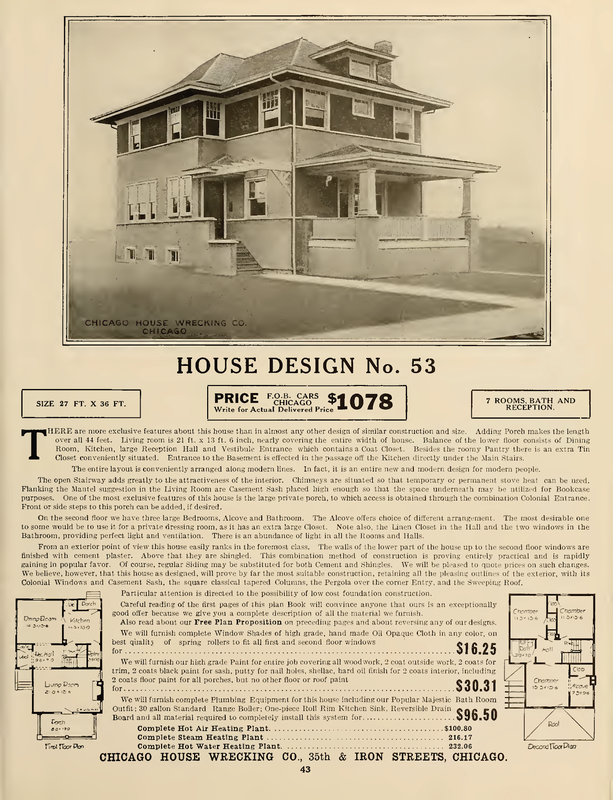 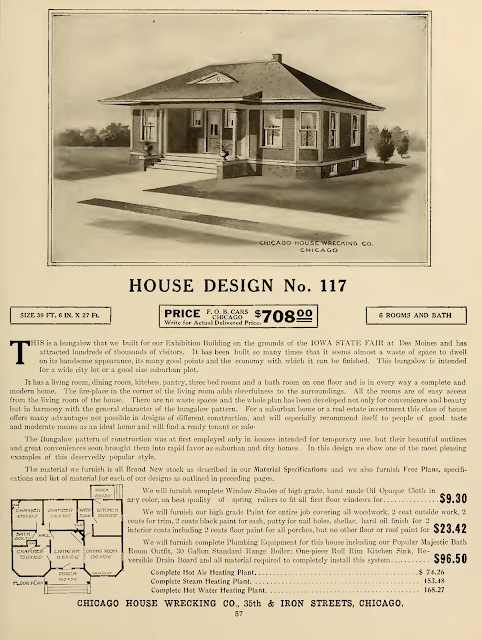 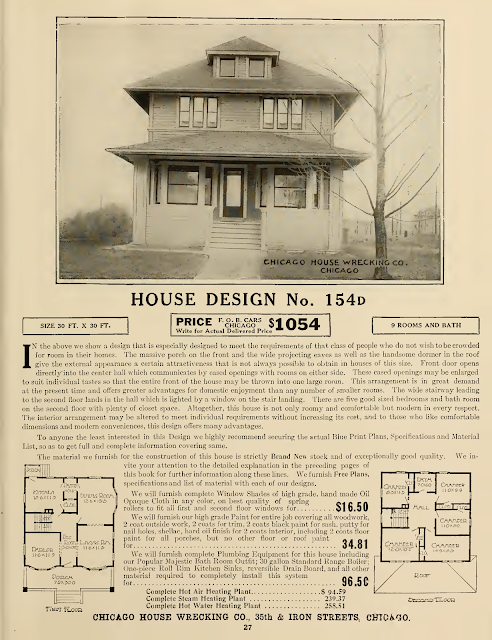 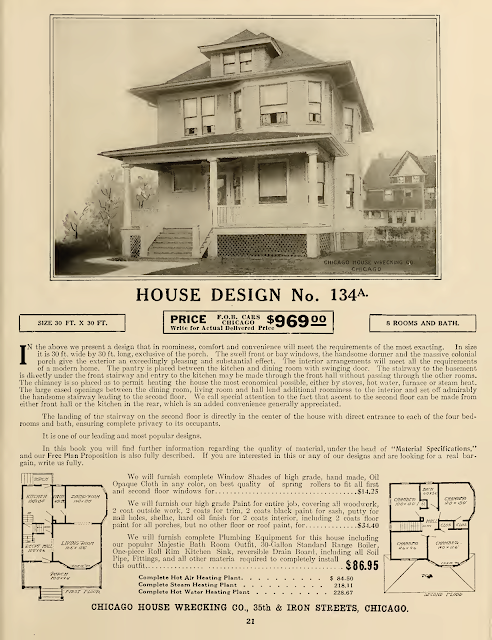 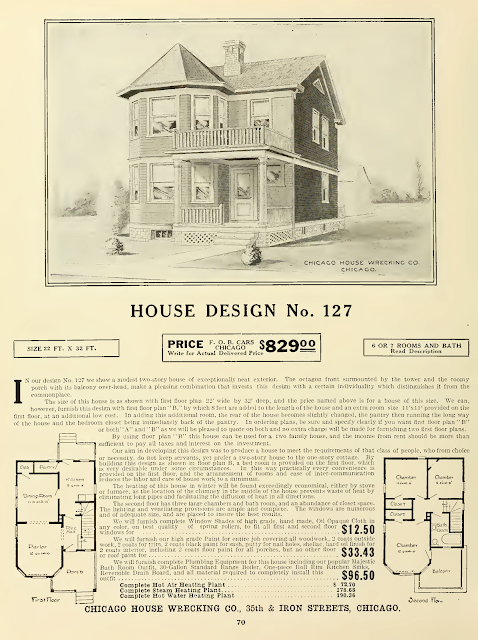 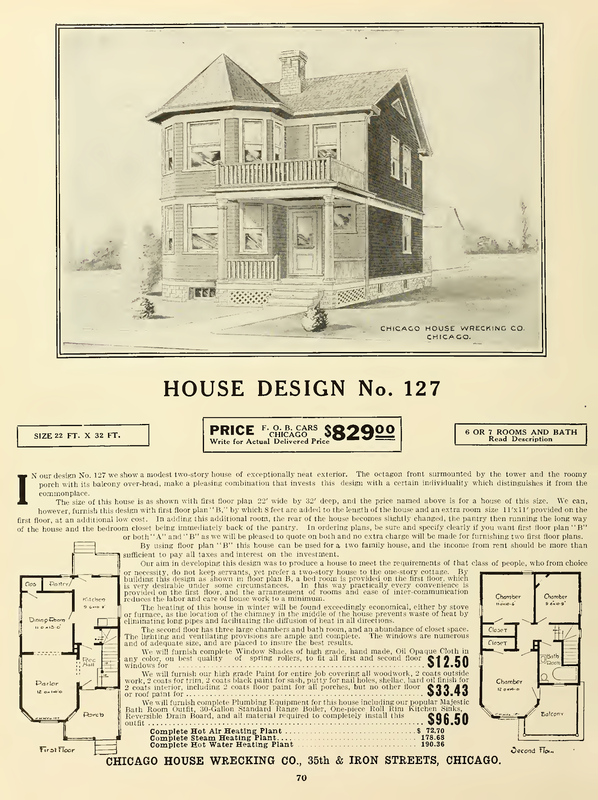 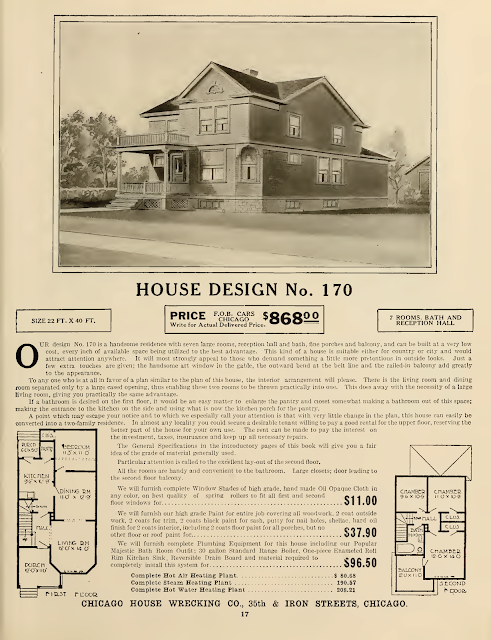 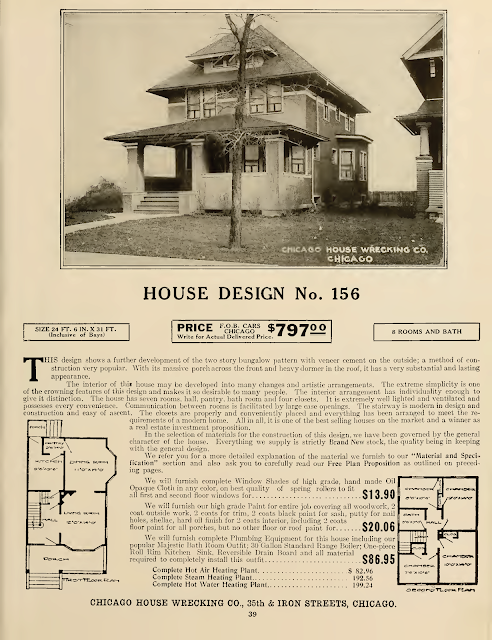 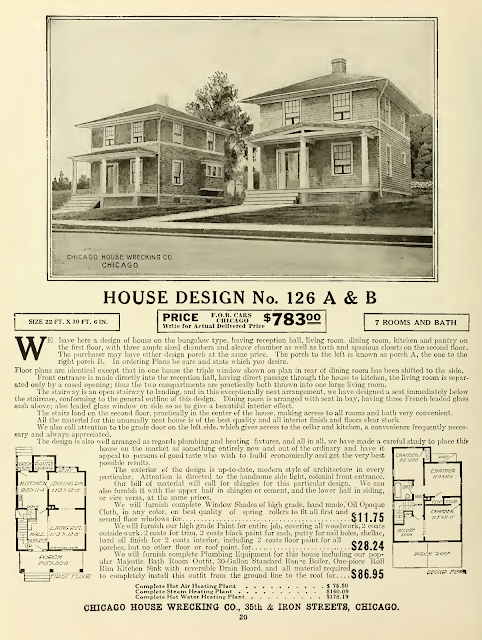 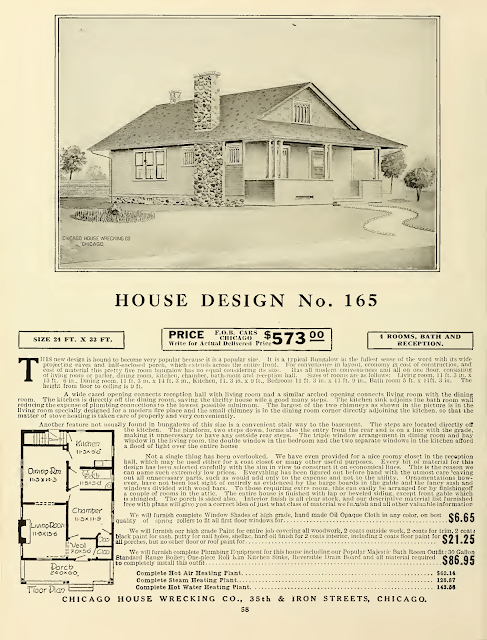 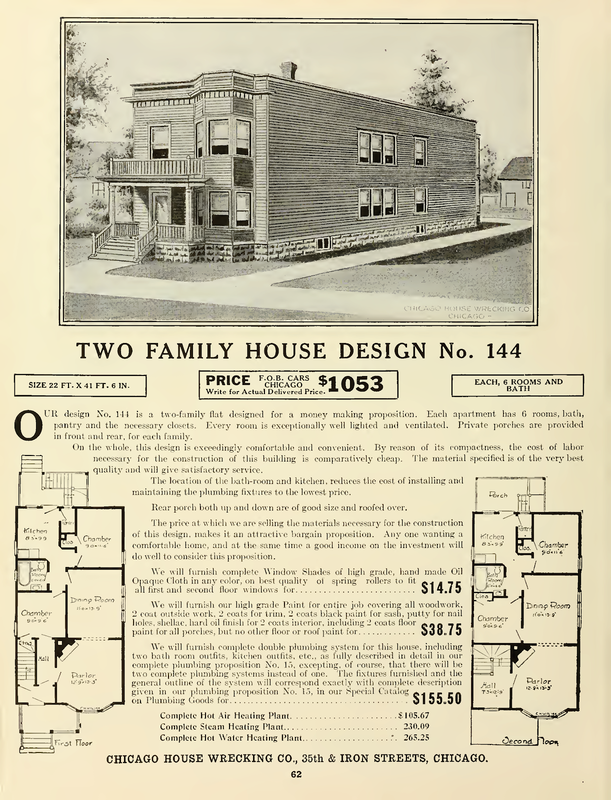 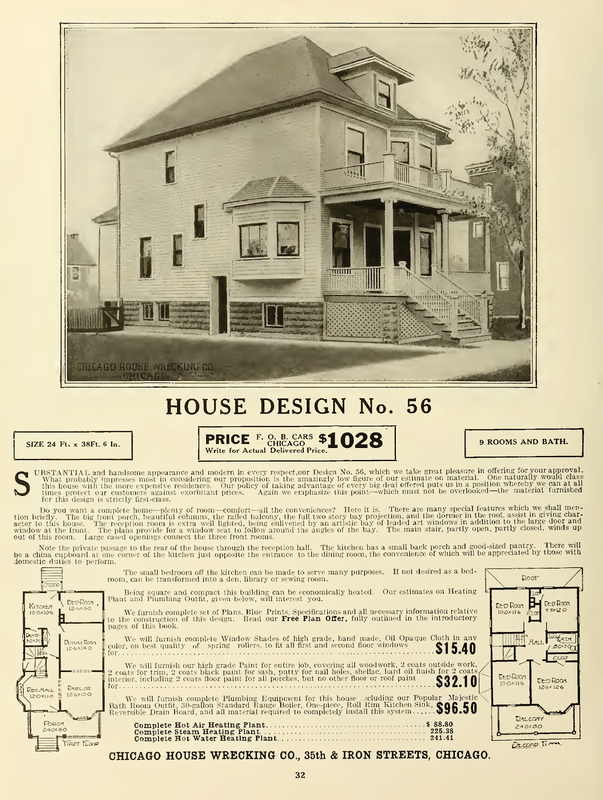 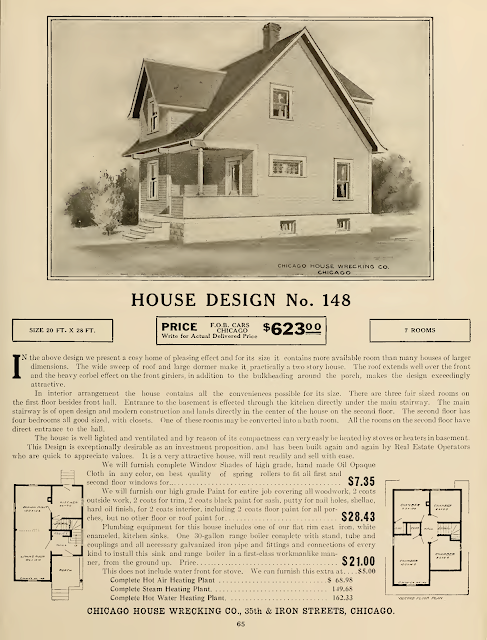 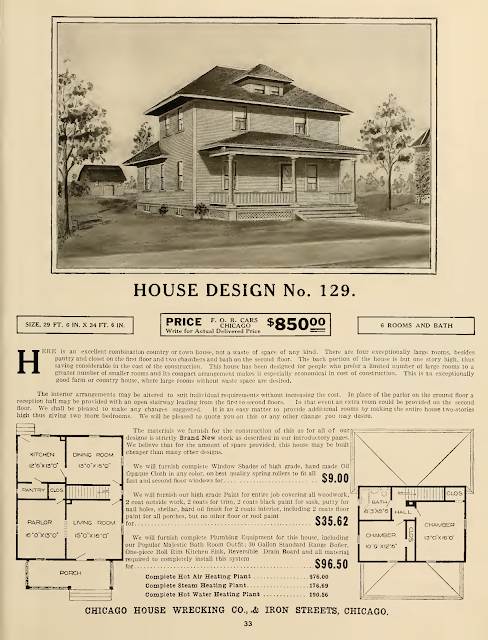 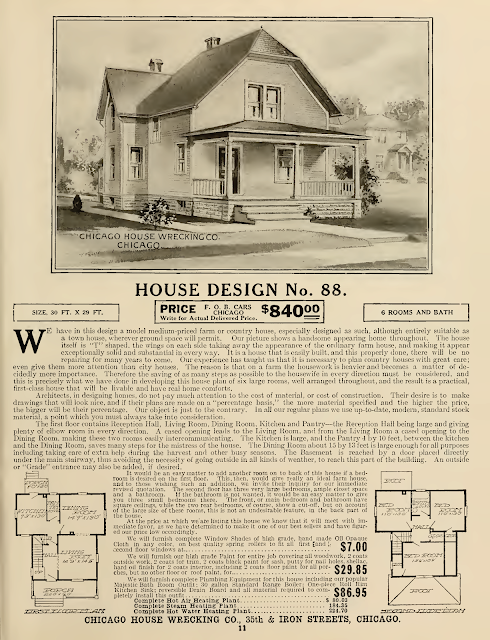 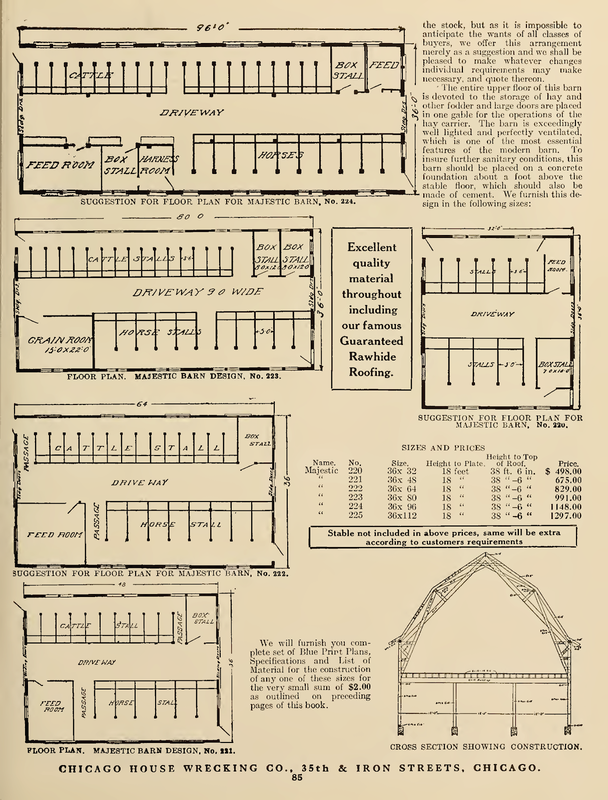 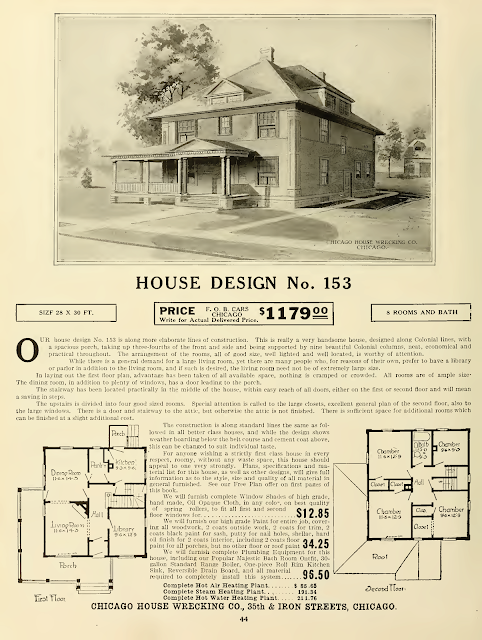 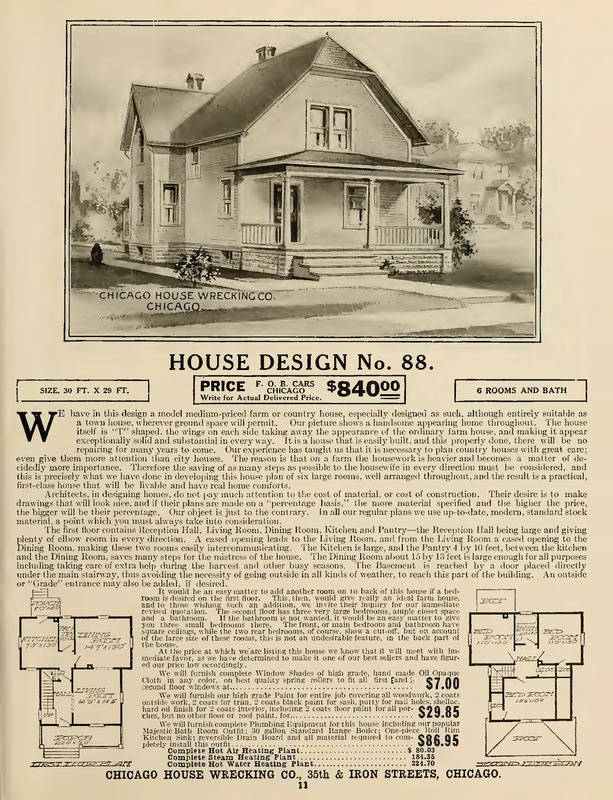 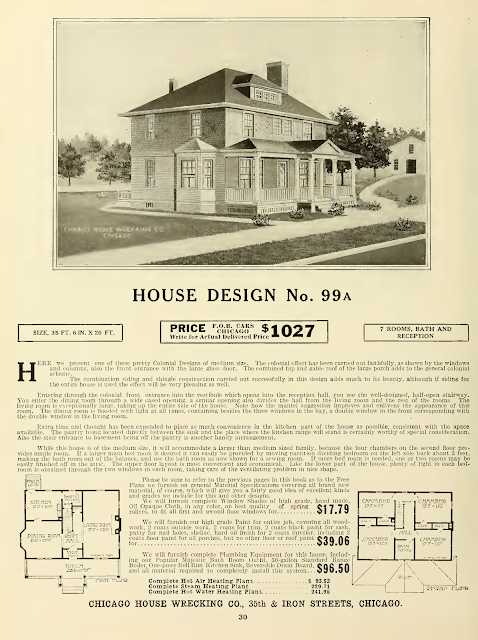 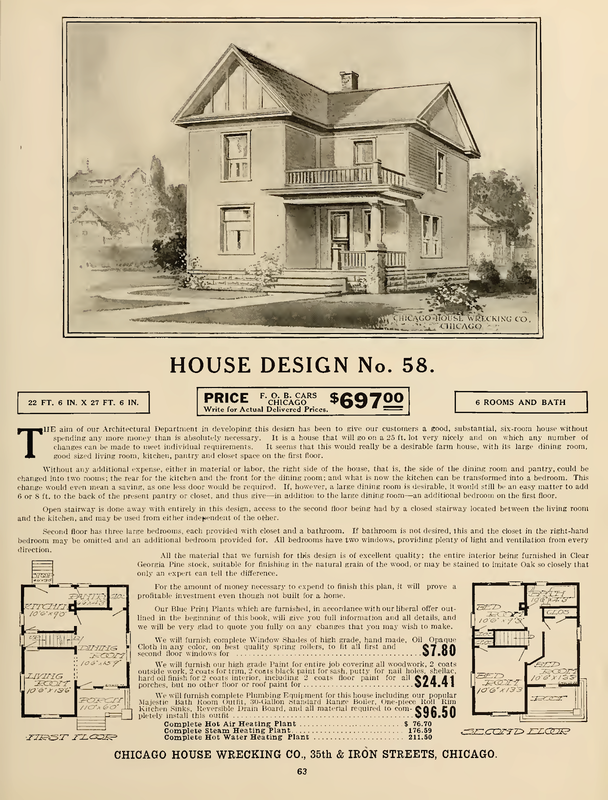 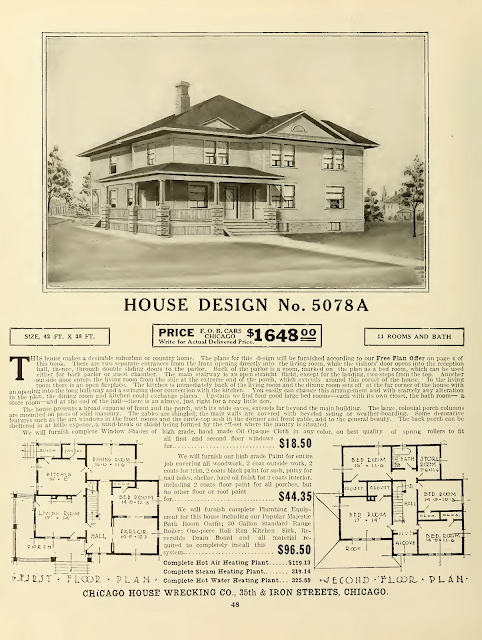 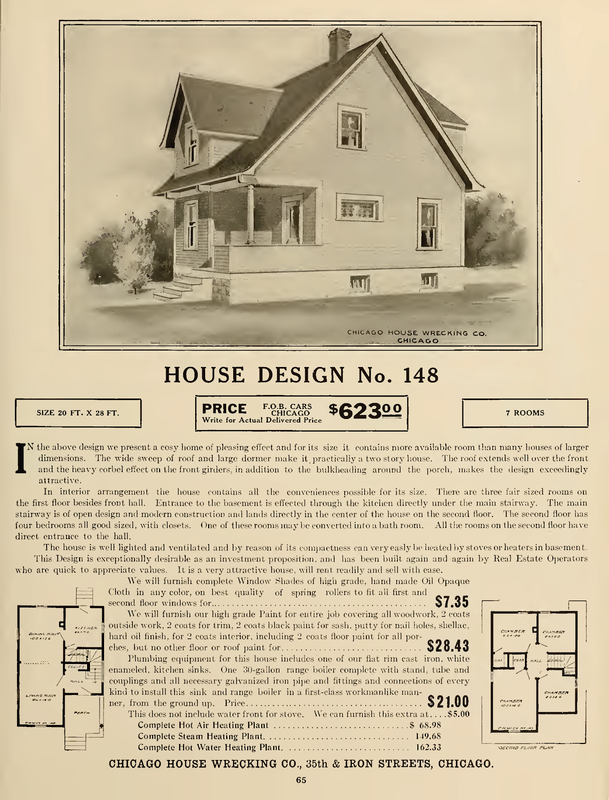 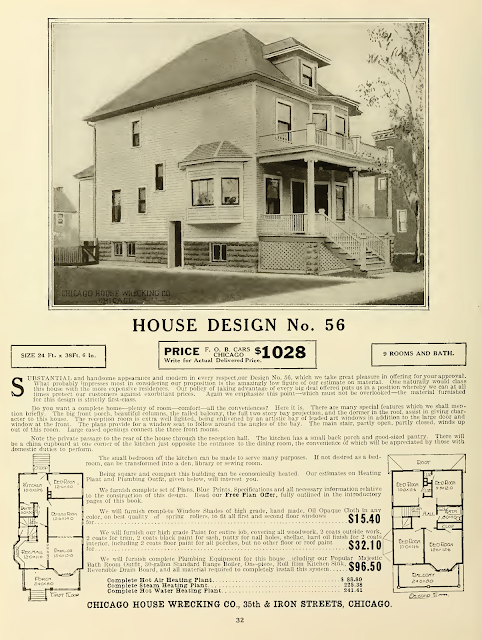 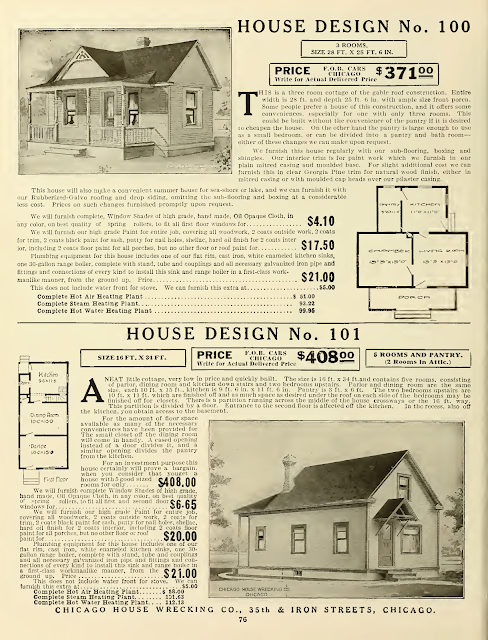 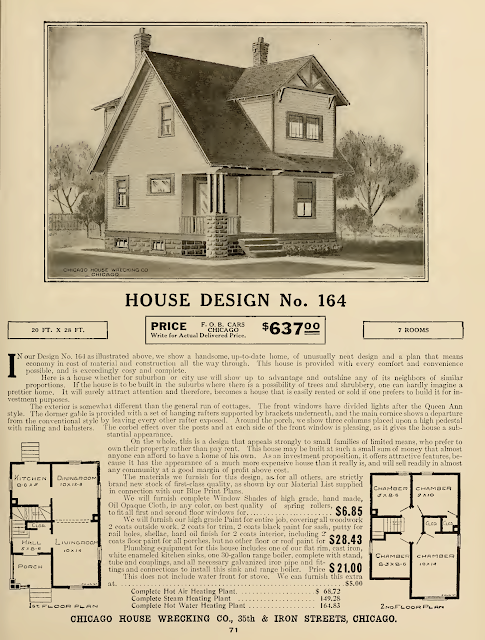 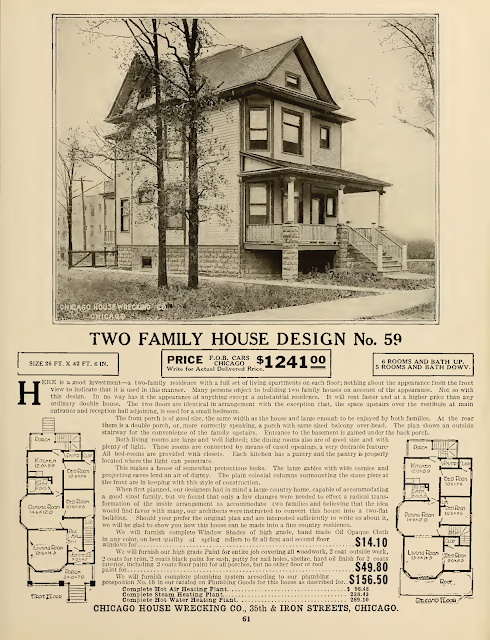 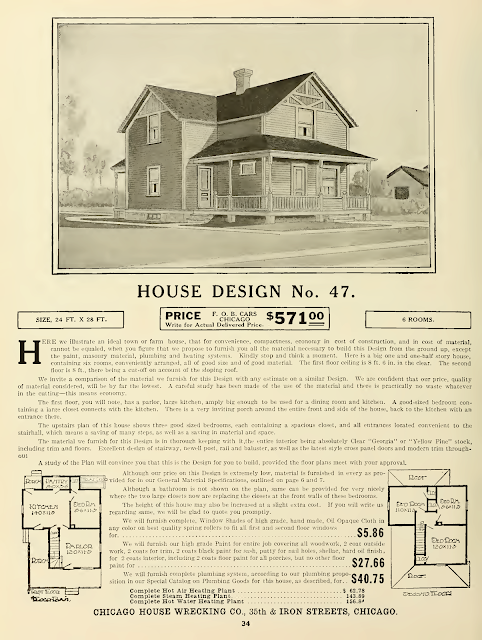 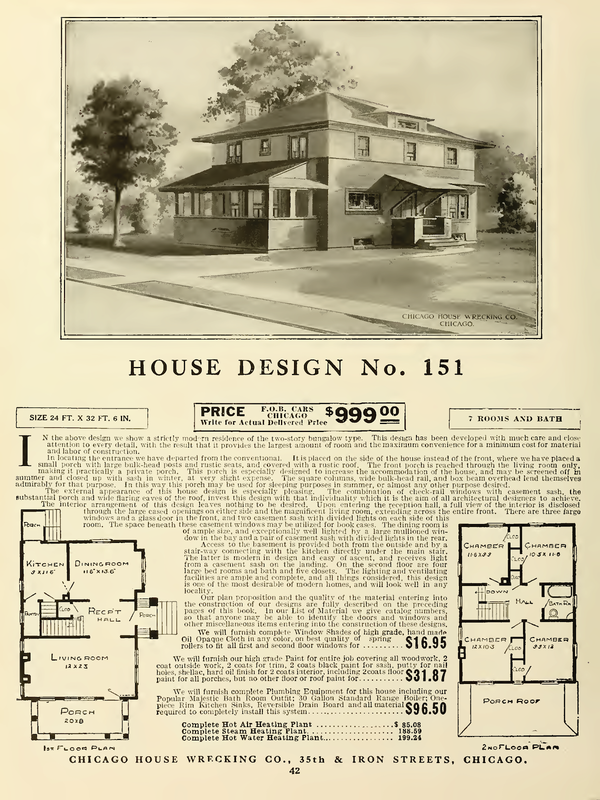 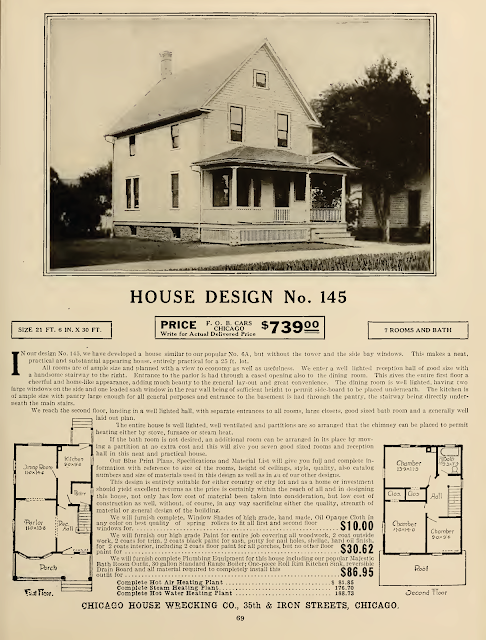 1913 Chicago House Wrecking Company - Book of Plans.